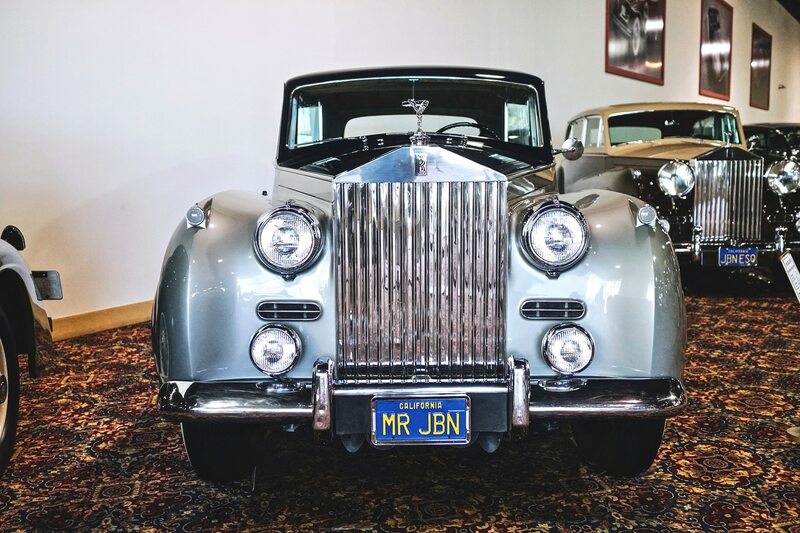 Located in Sylmar, California, the Nethercutt Museum opened in 1971 when women’s cosmetics magnate J.B. Nethercutt and his wife Dorothy decided to make their extraordinary private collection available for public viewing. 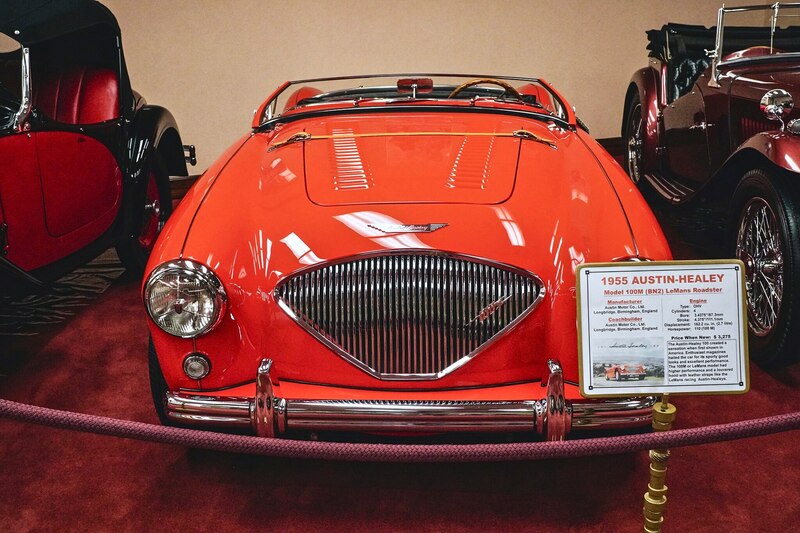 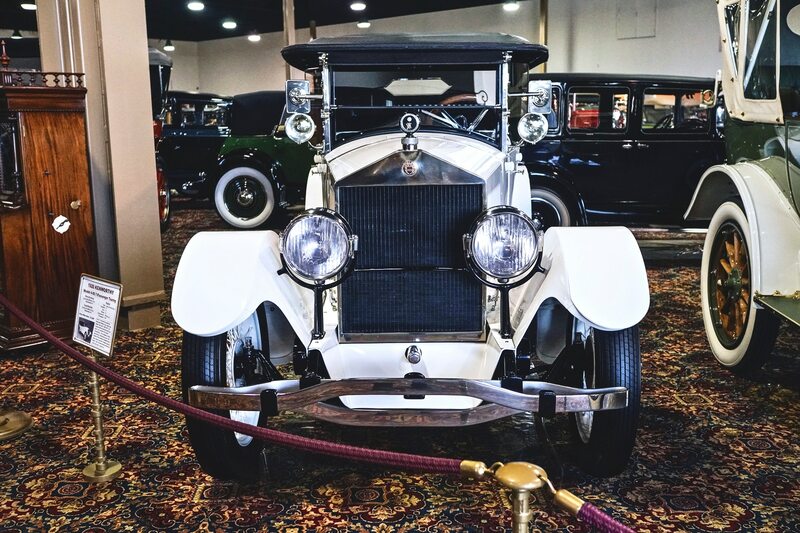 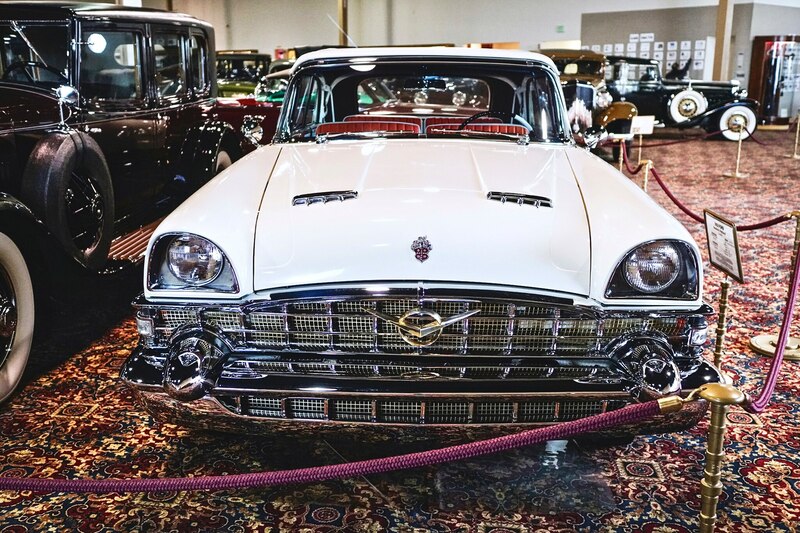 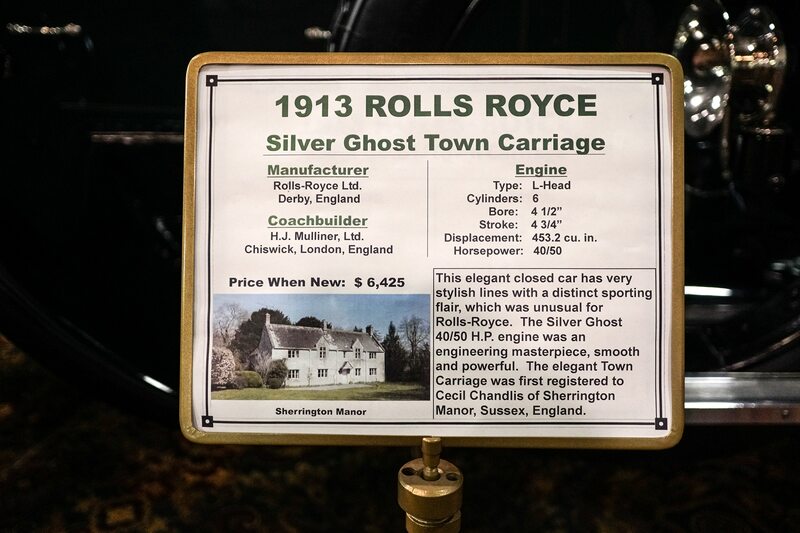 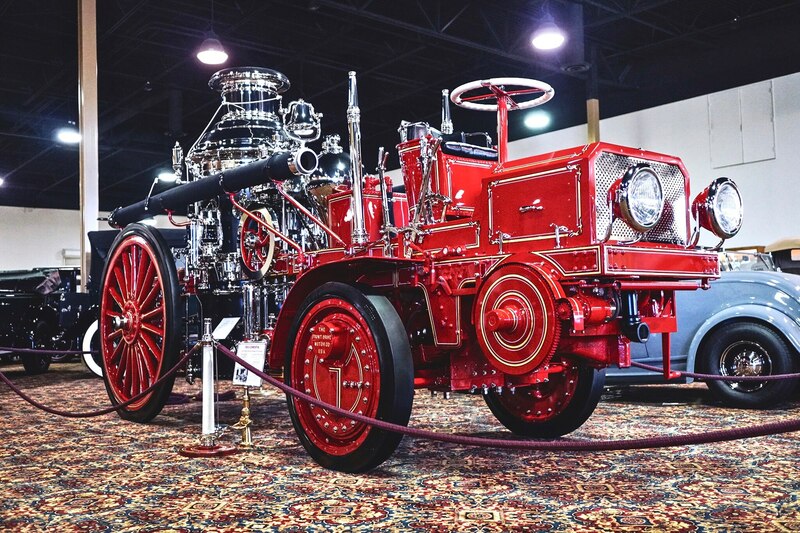 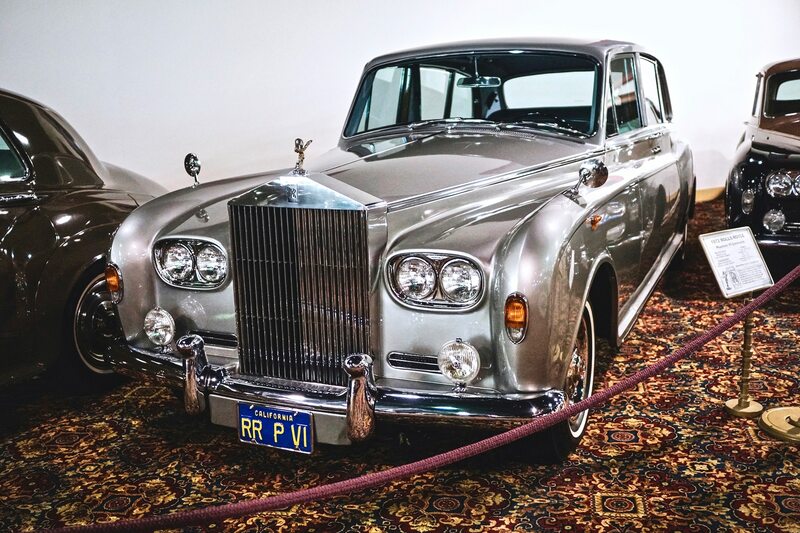 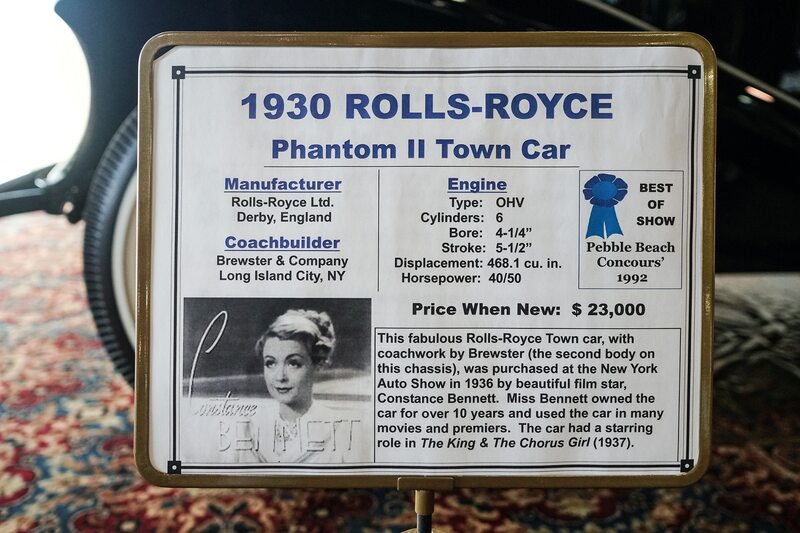 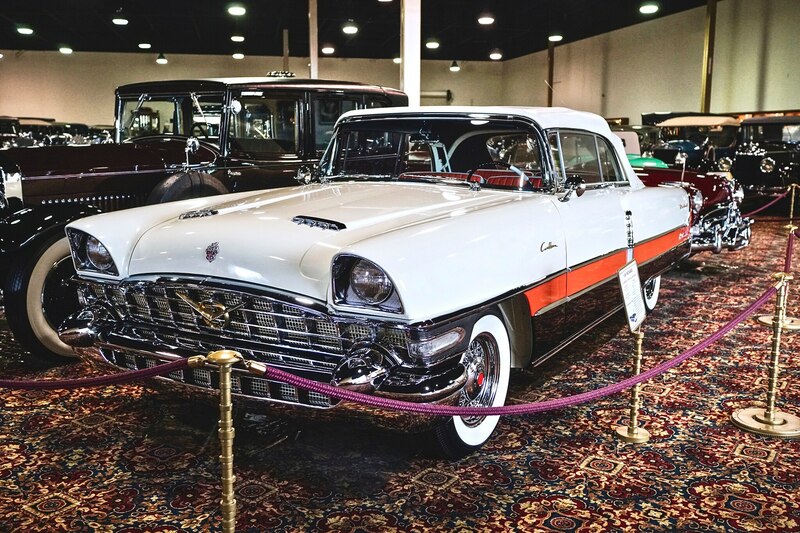 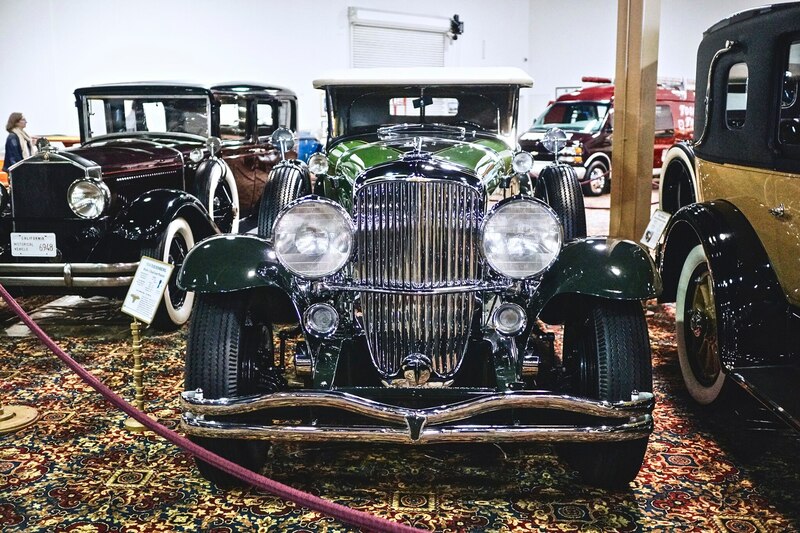 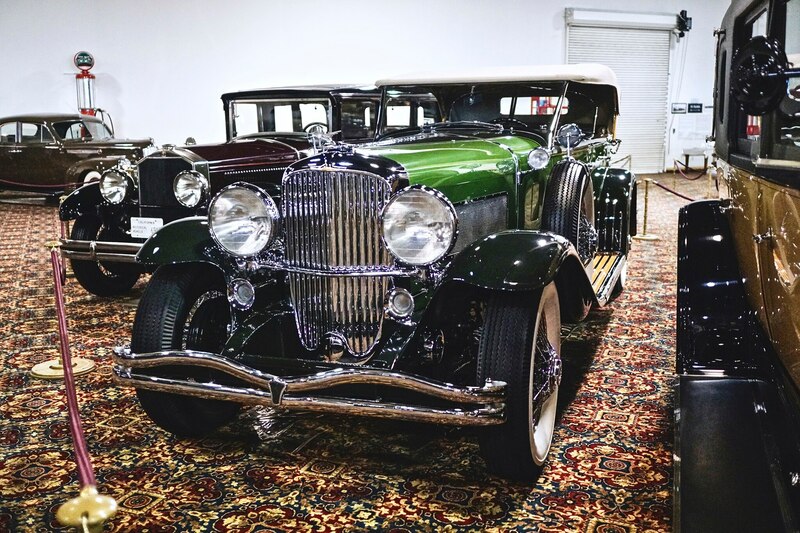 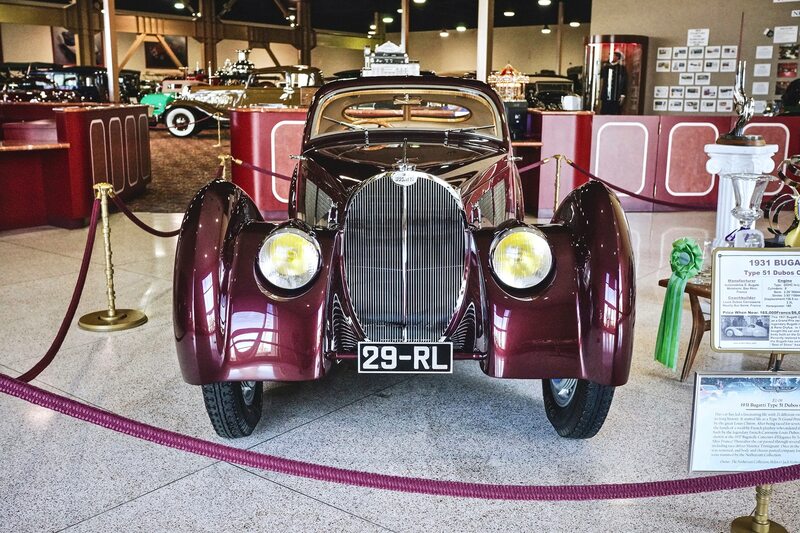 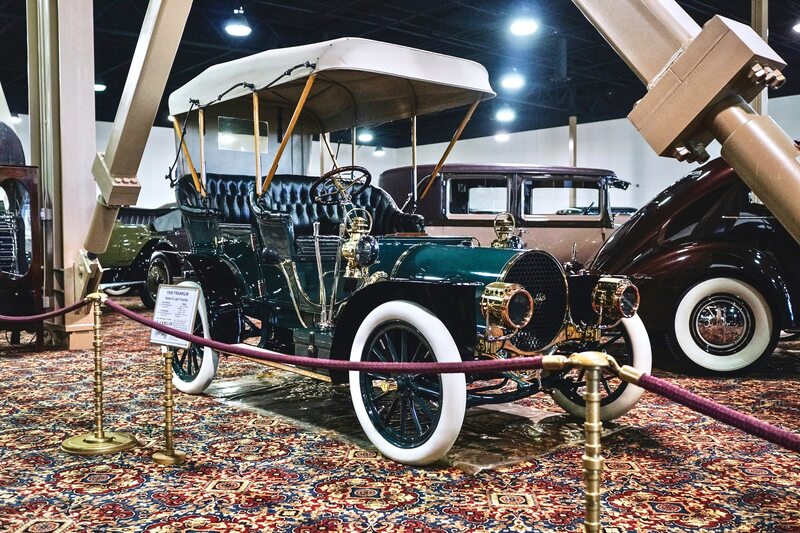 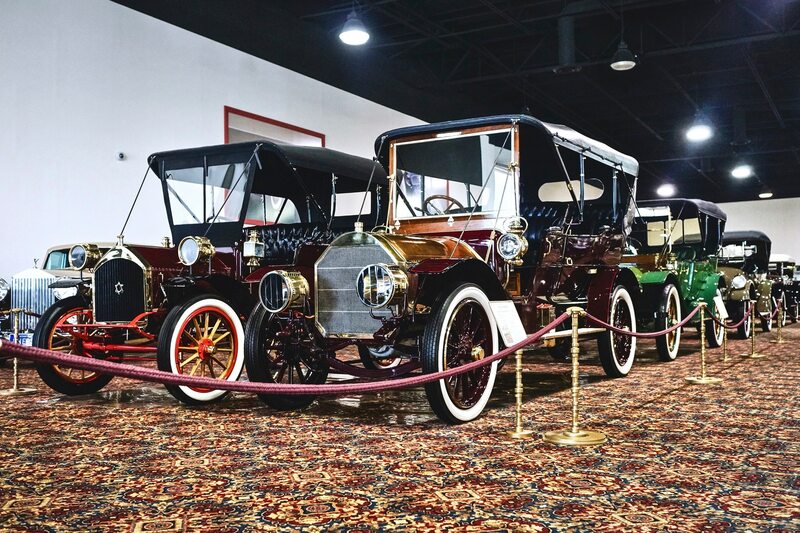 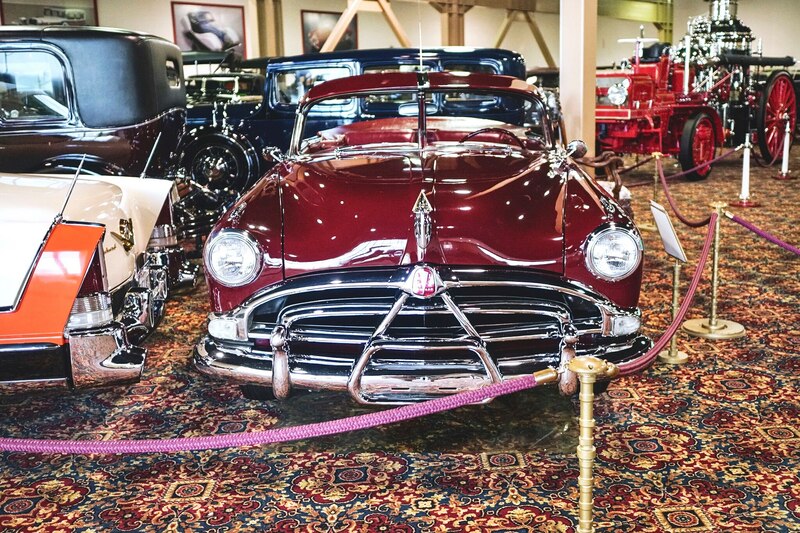 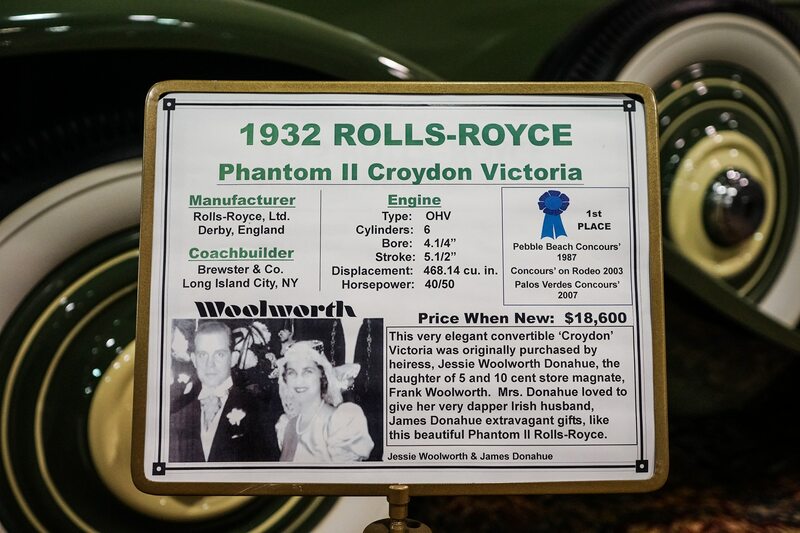 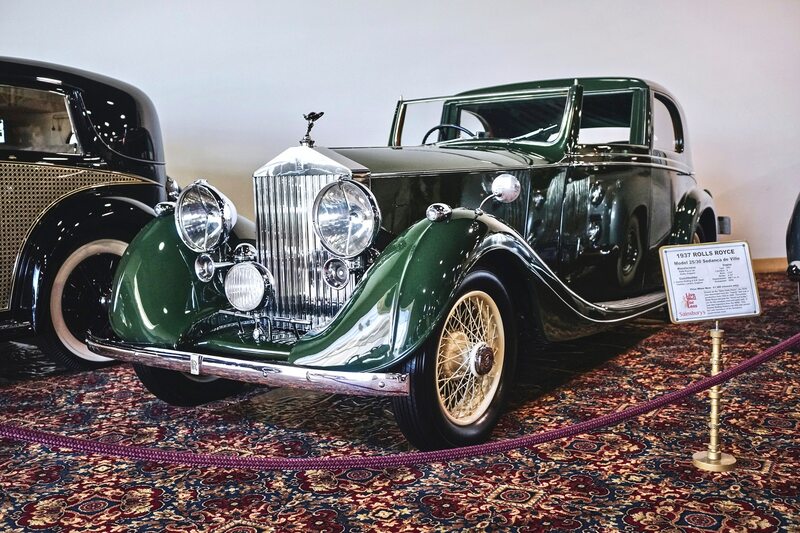 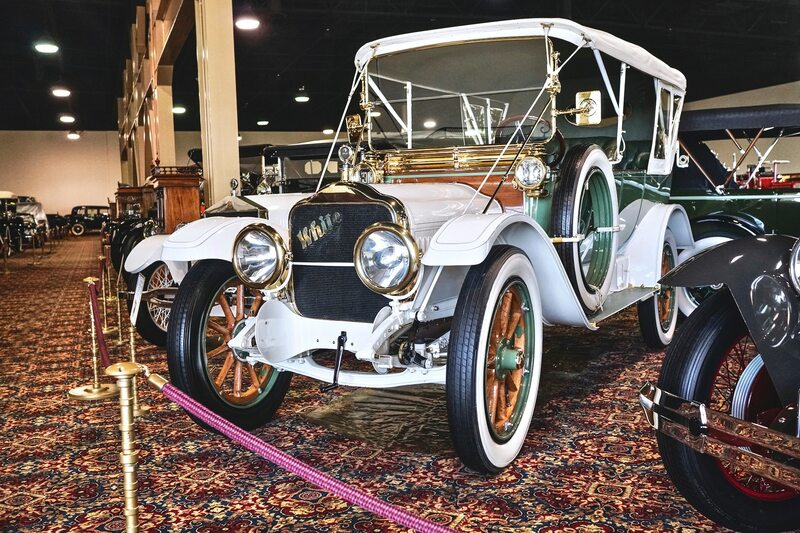 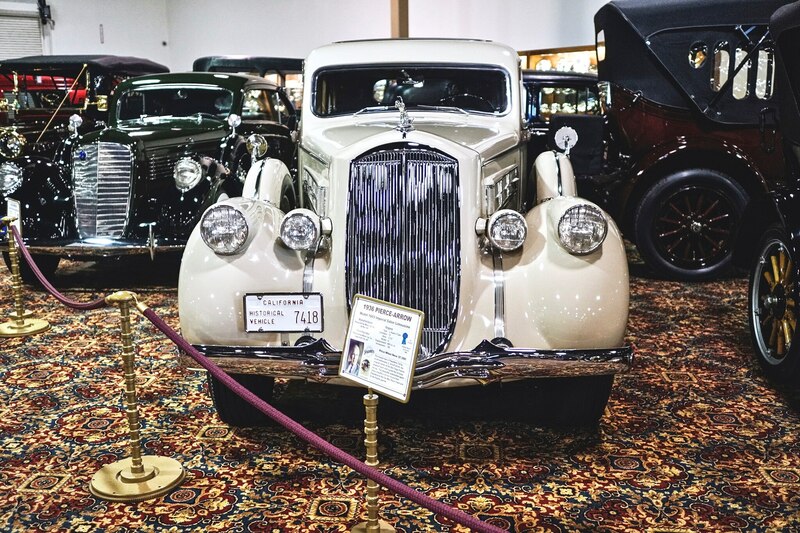 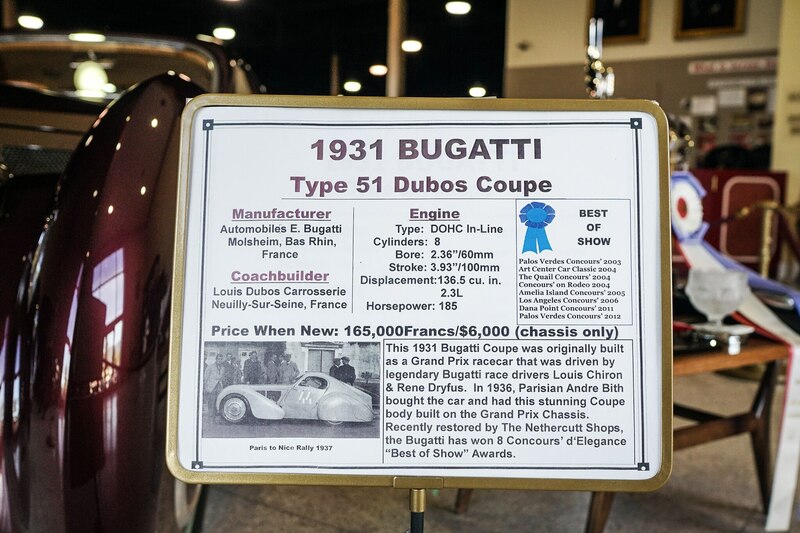 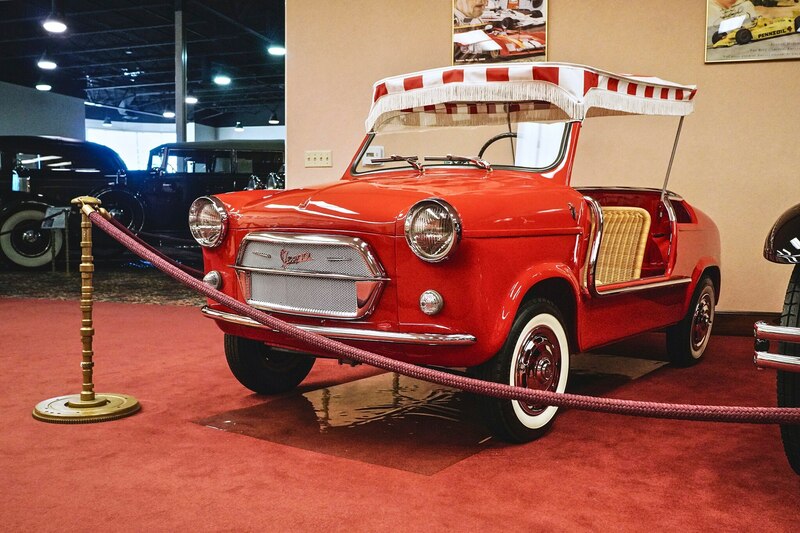 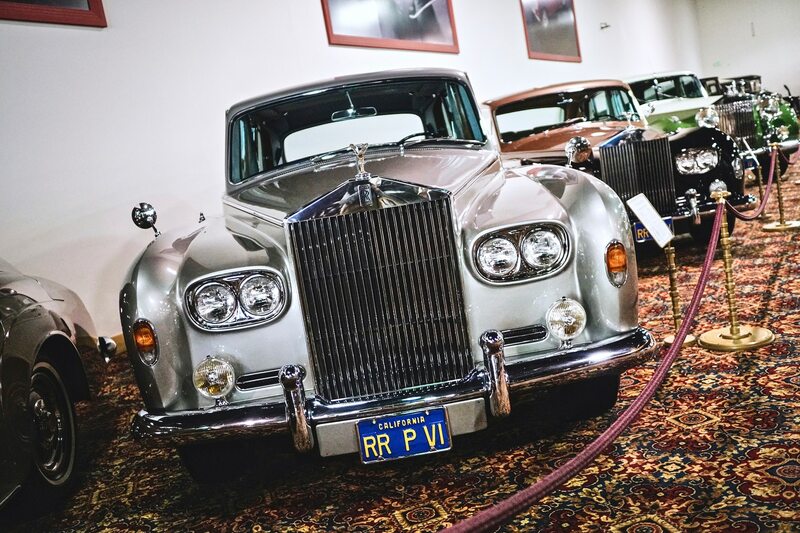 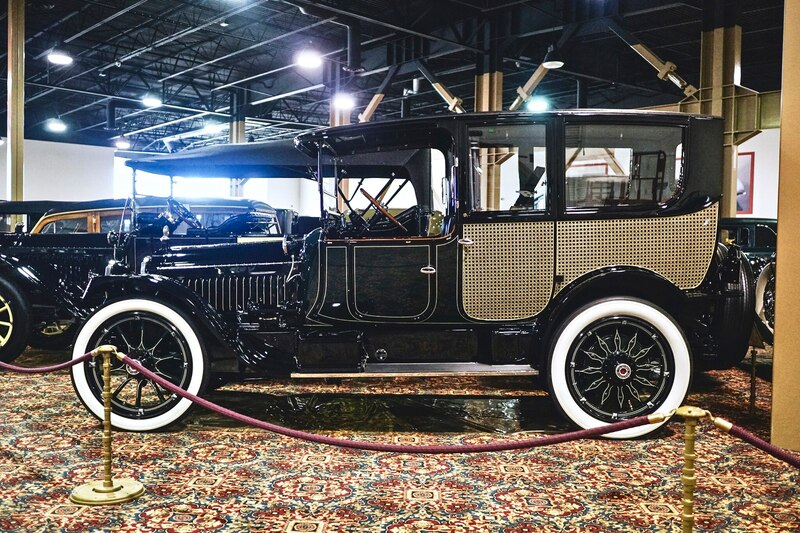 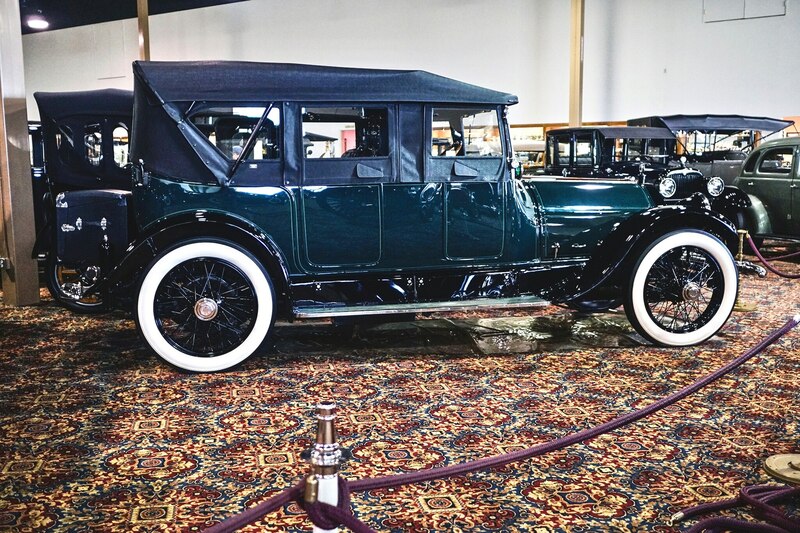 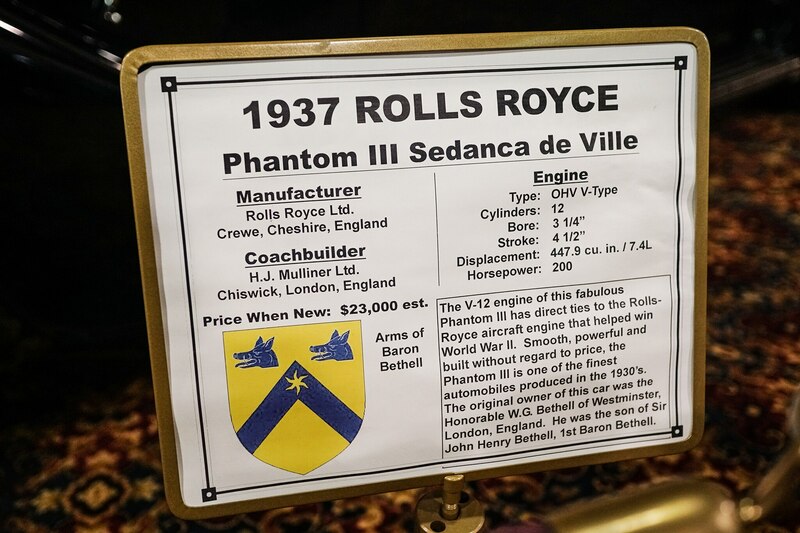 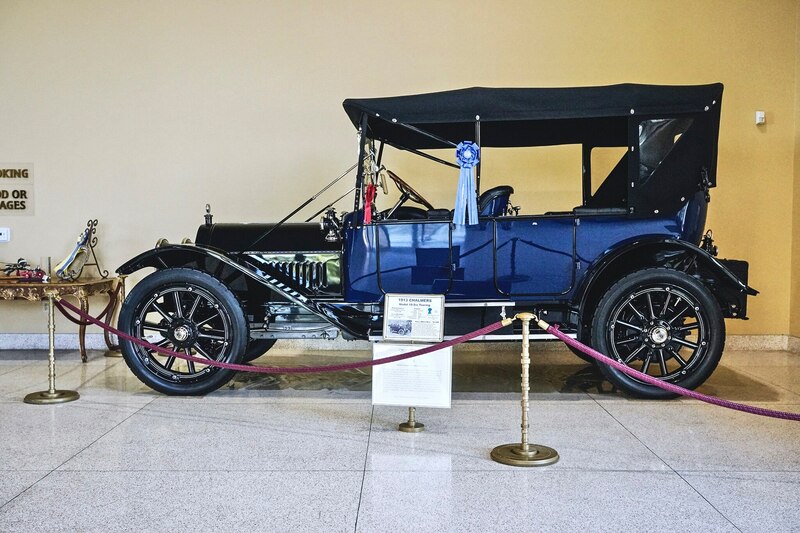 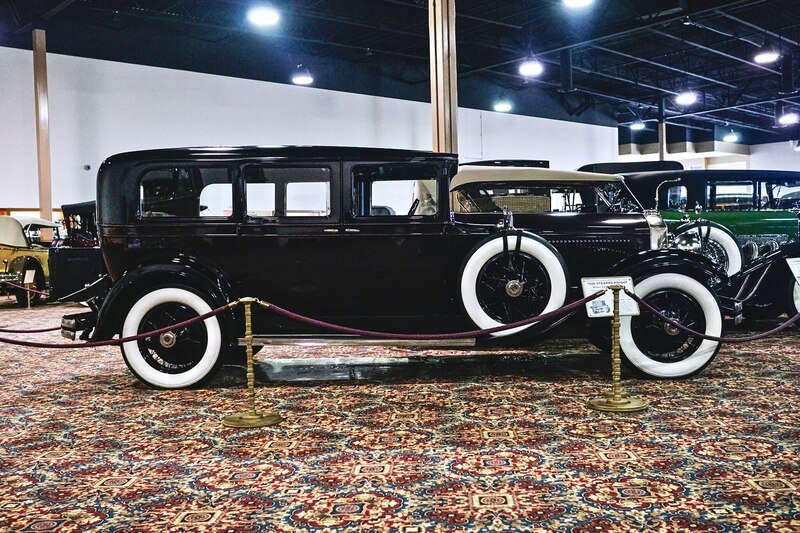 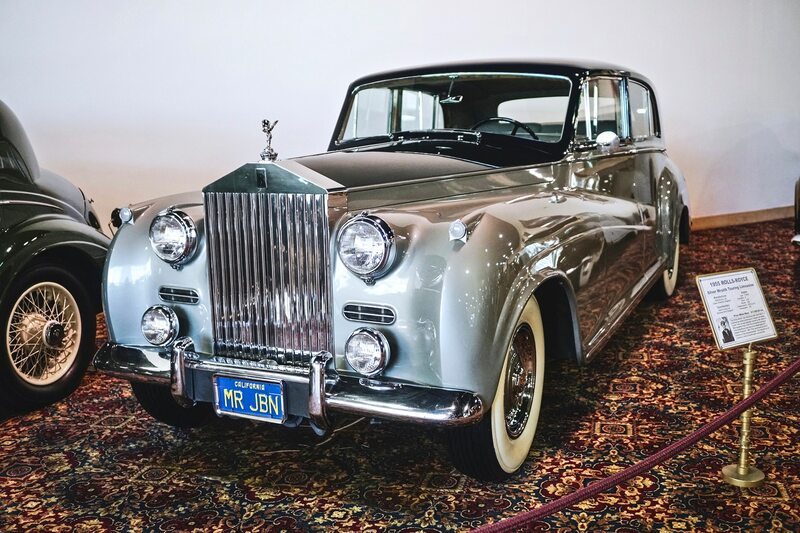 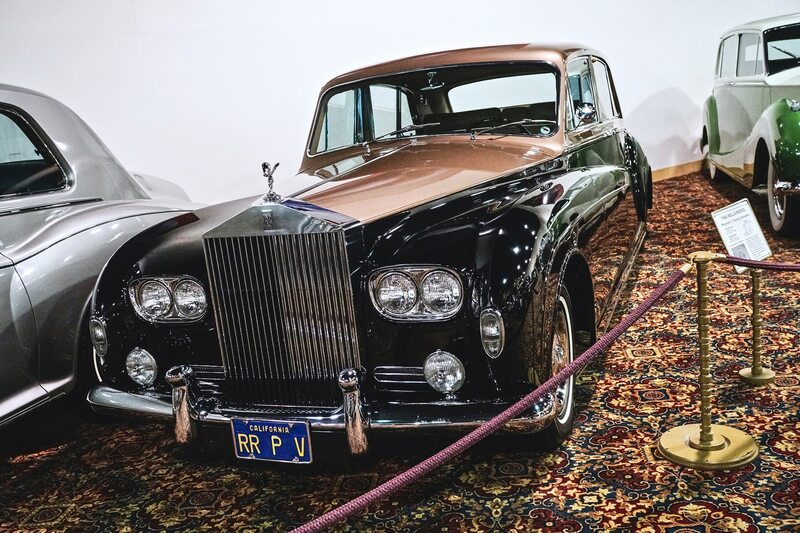 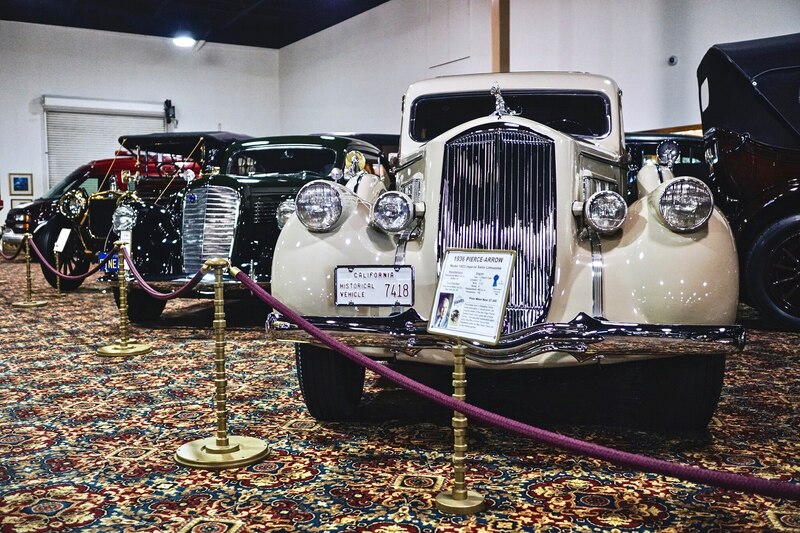 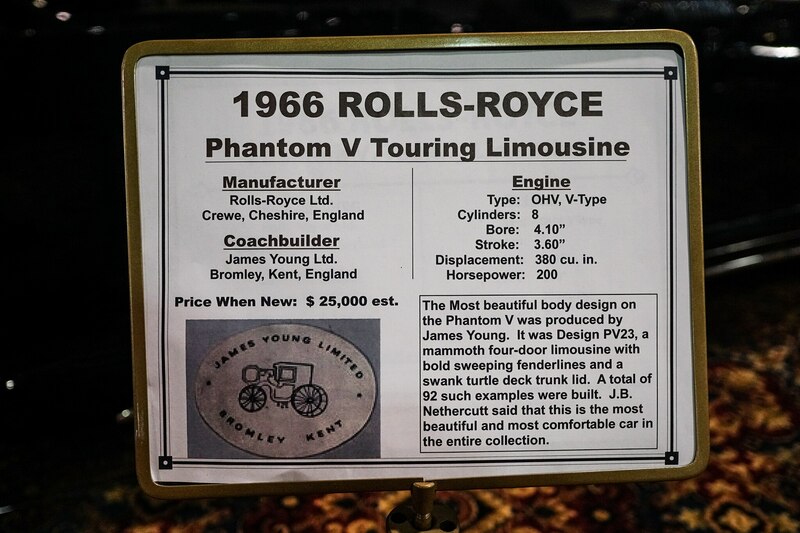 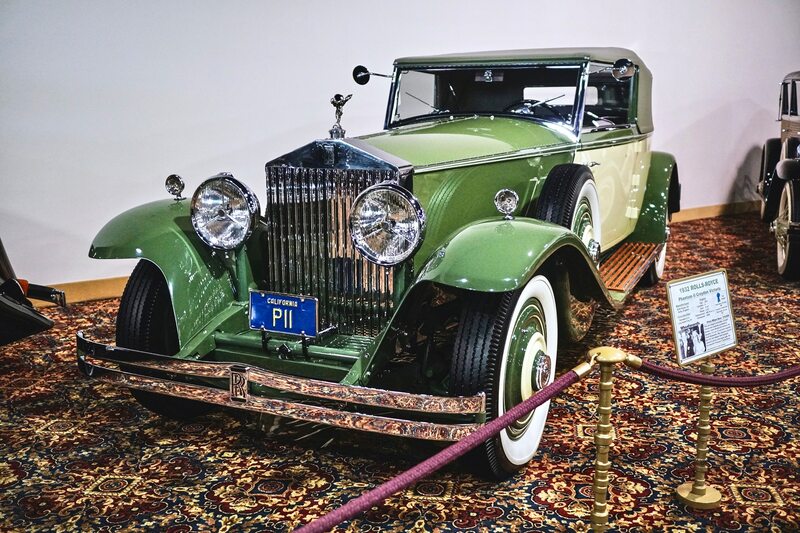 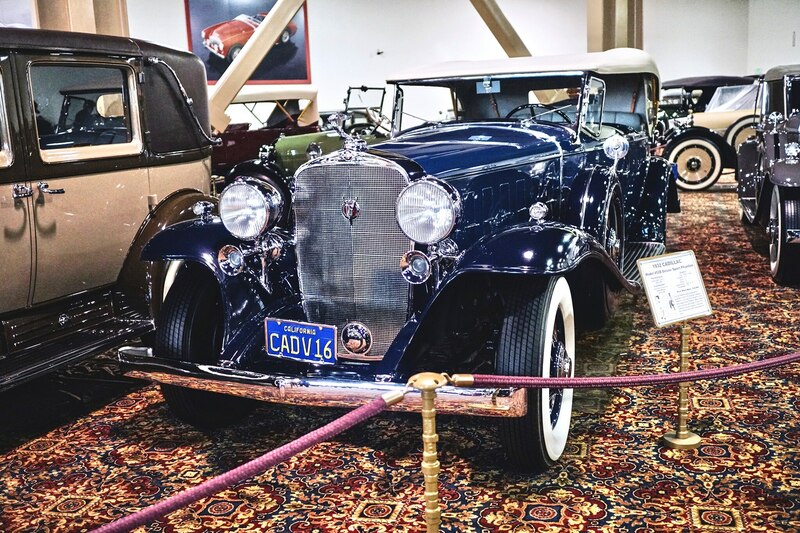 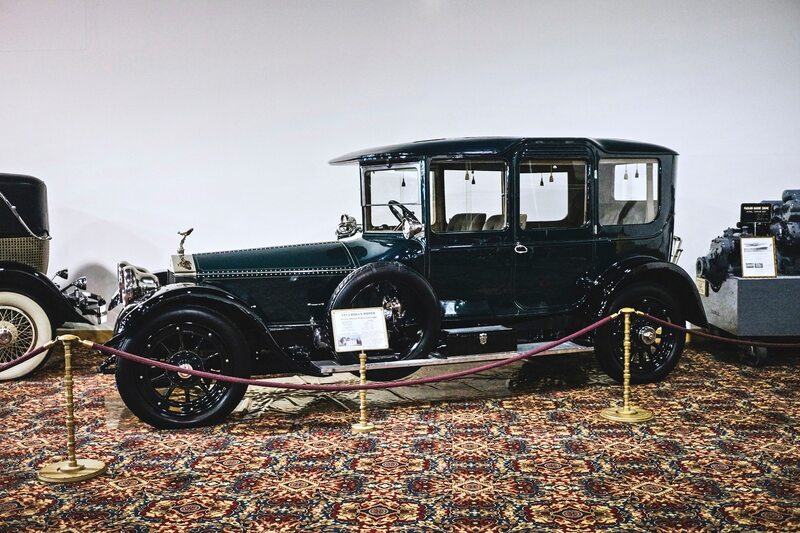 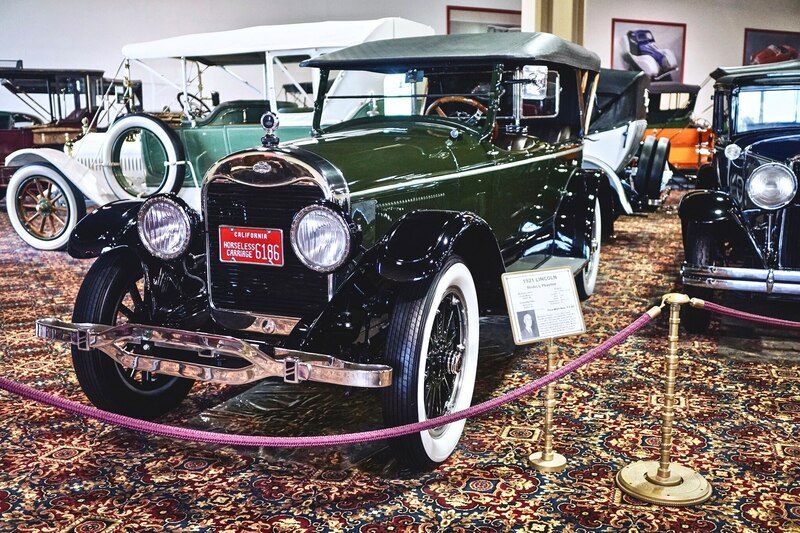 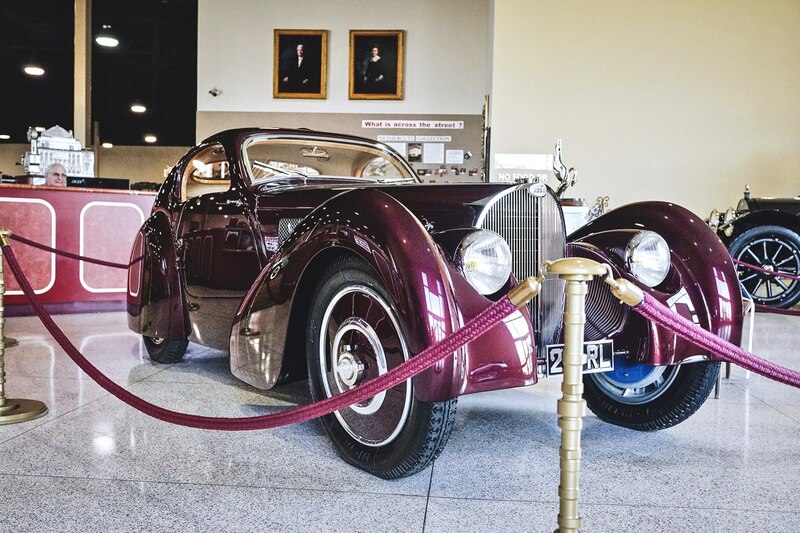 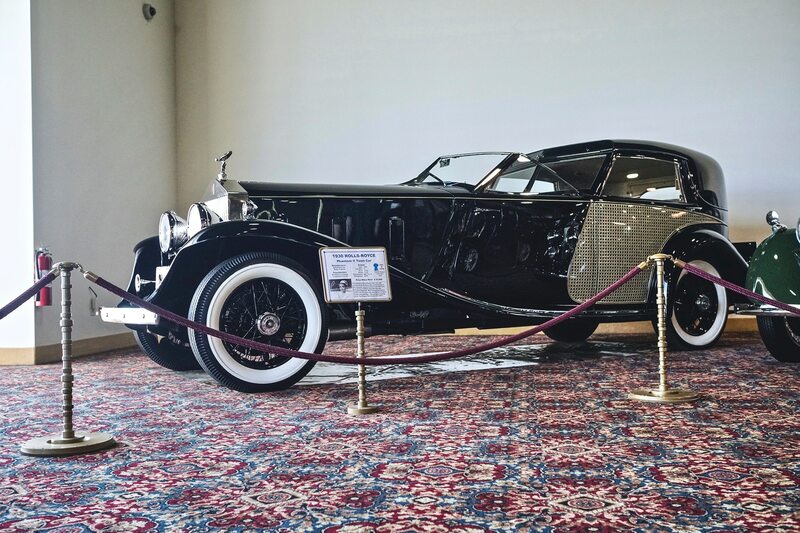 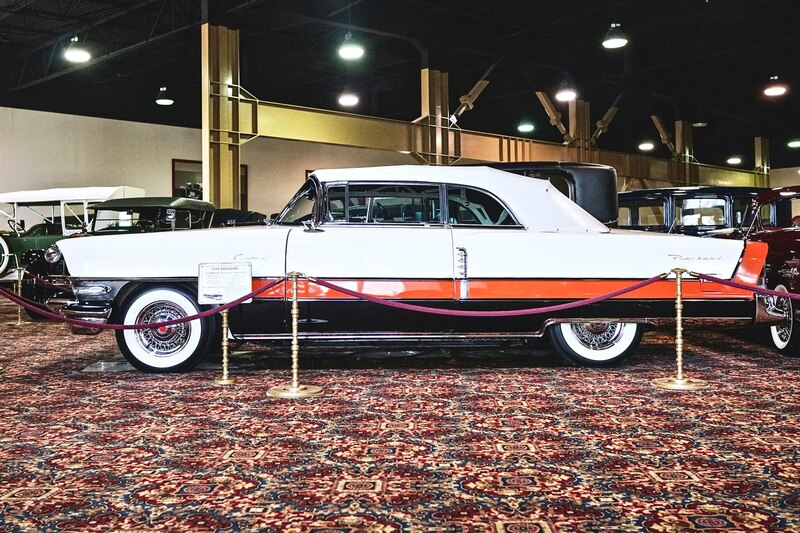 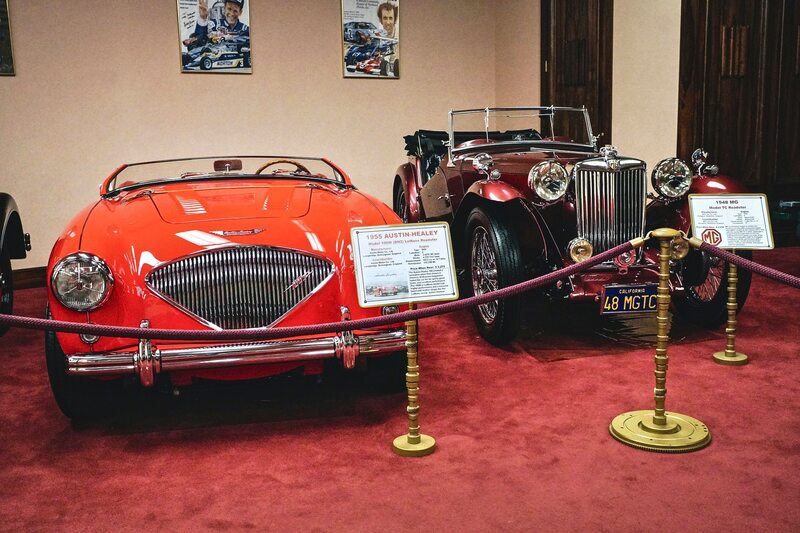 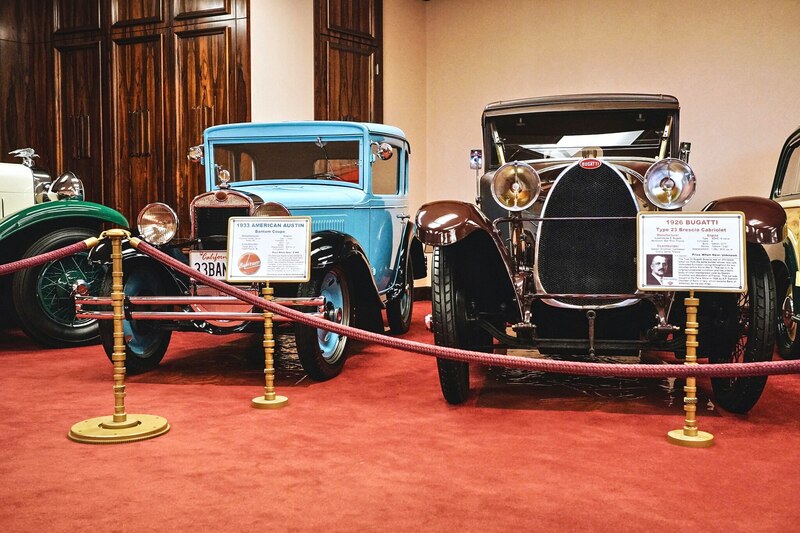 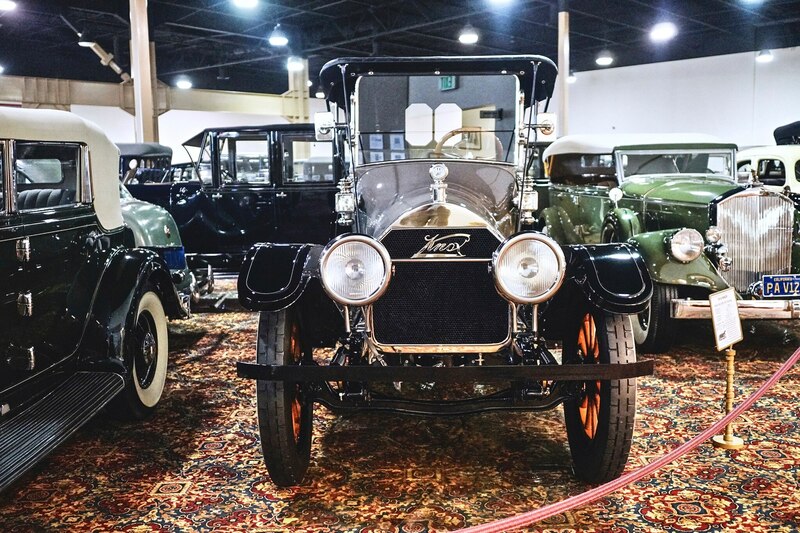 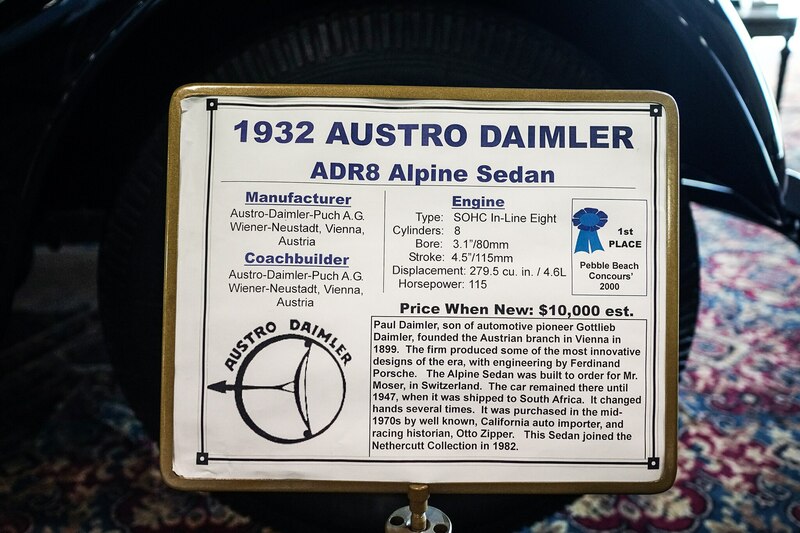 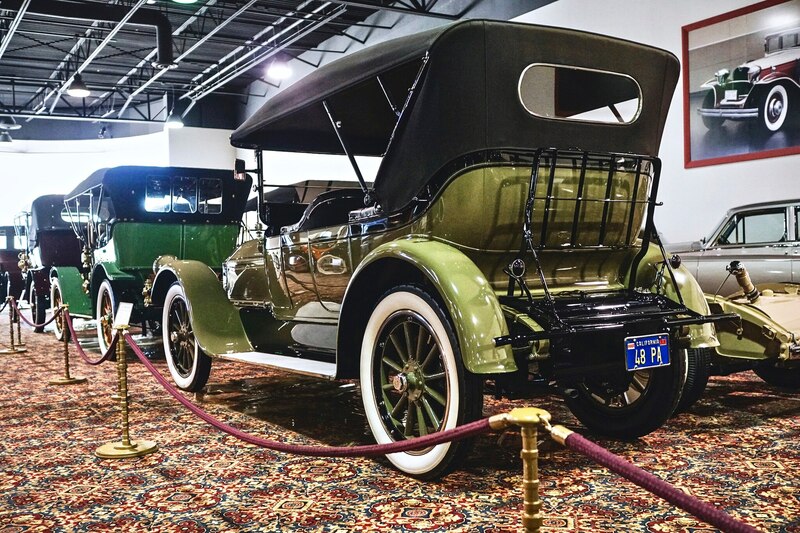 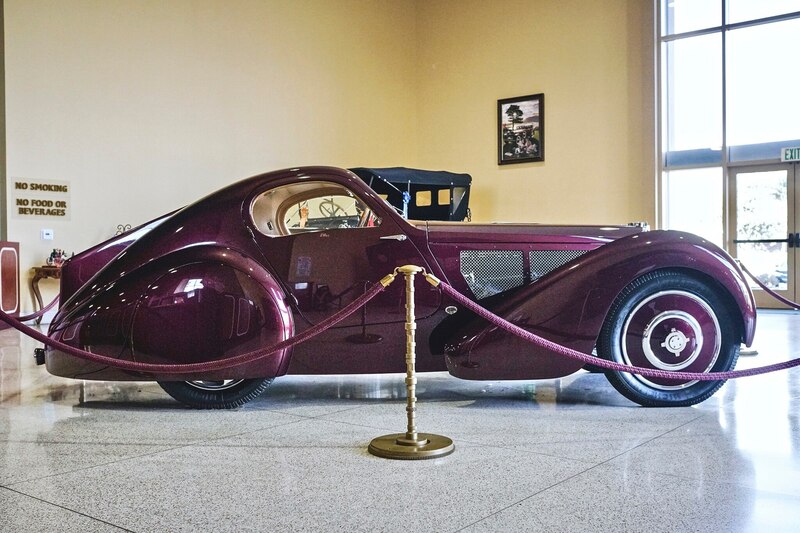 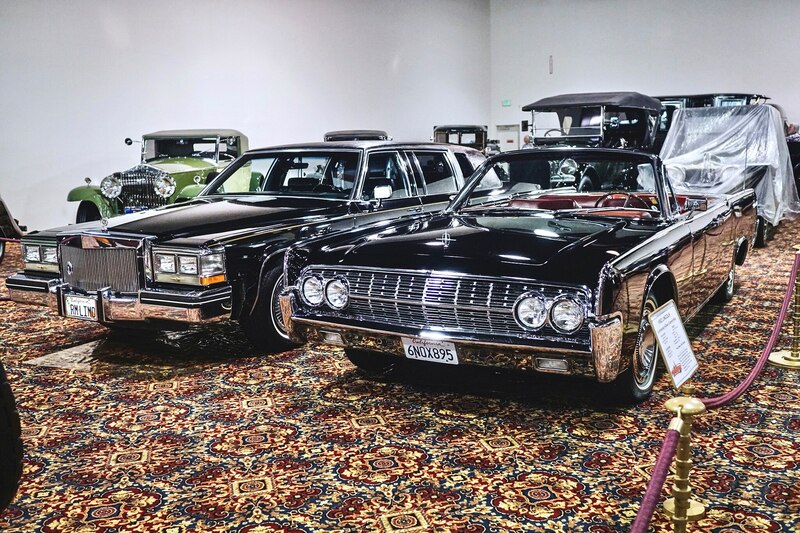 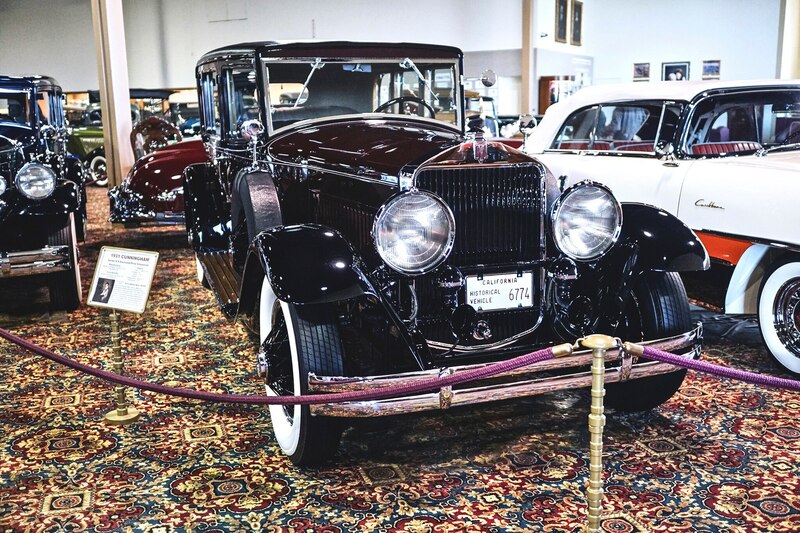 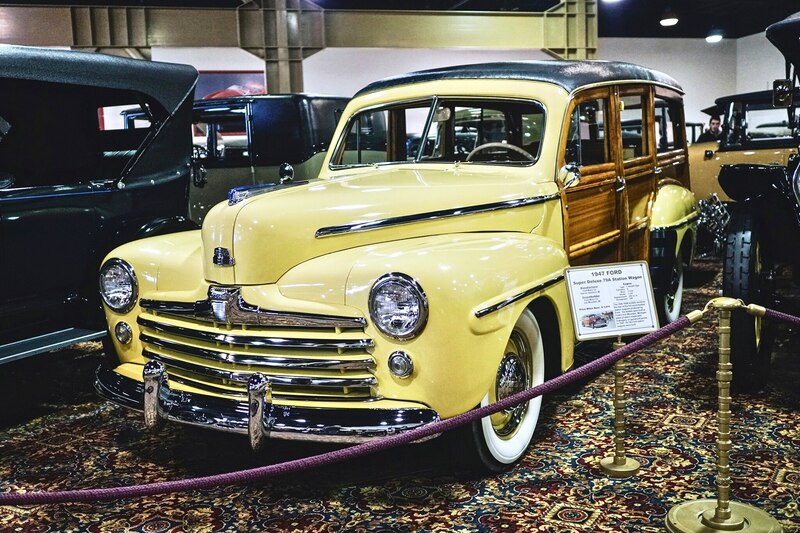 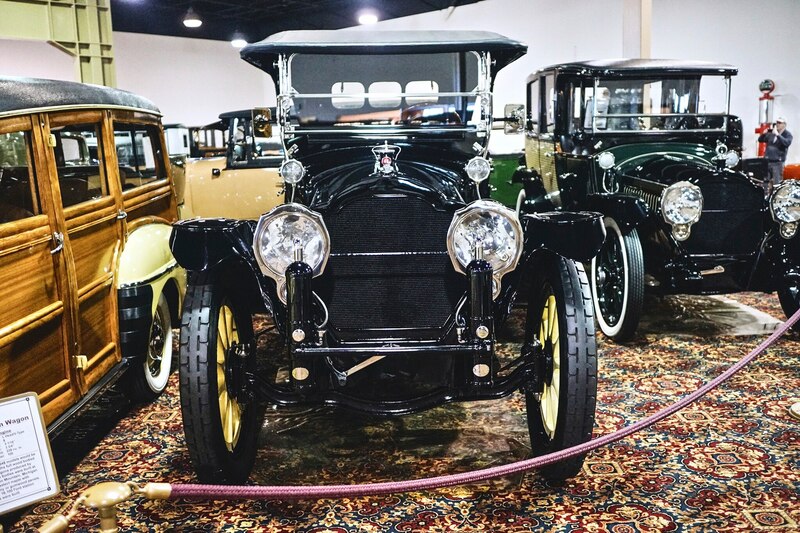 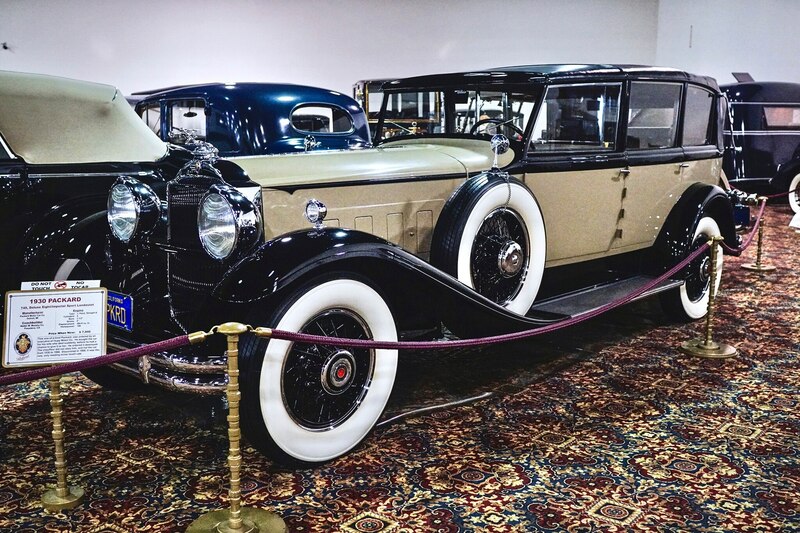 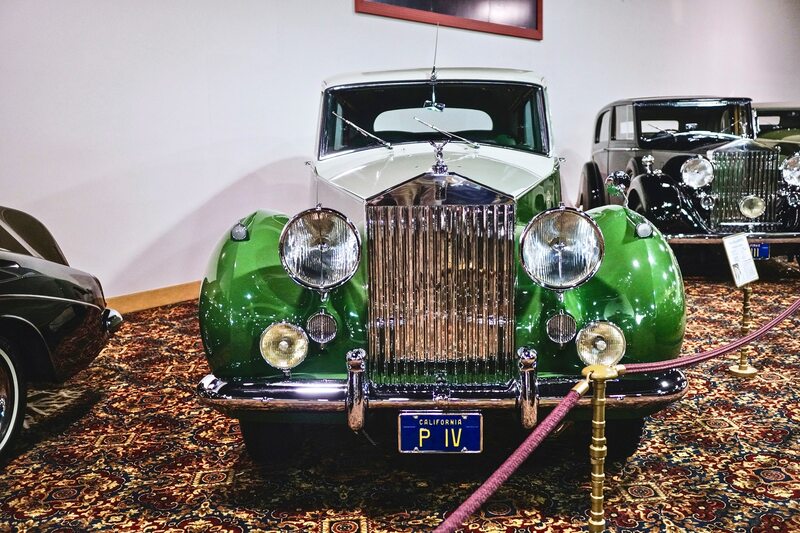 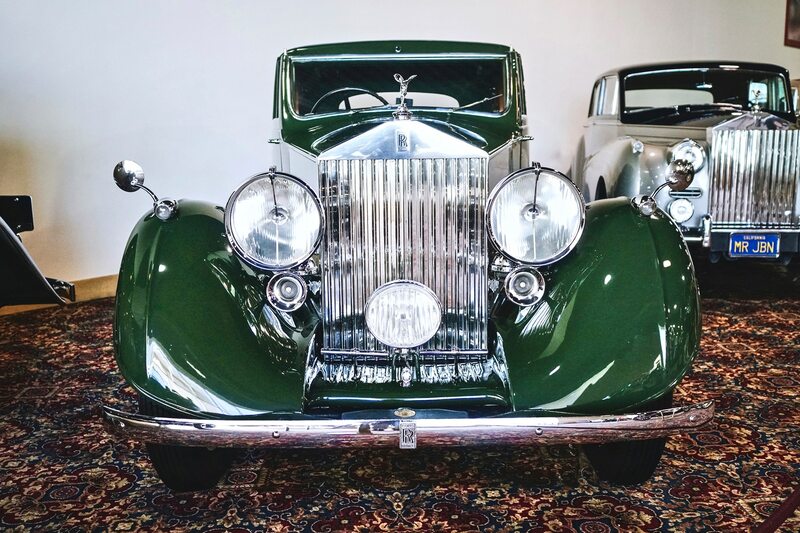 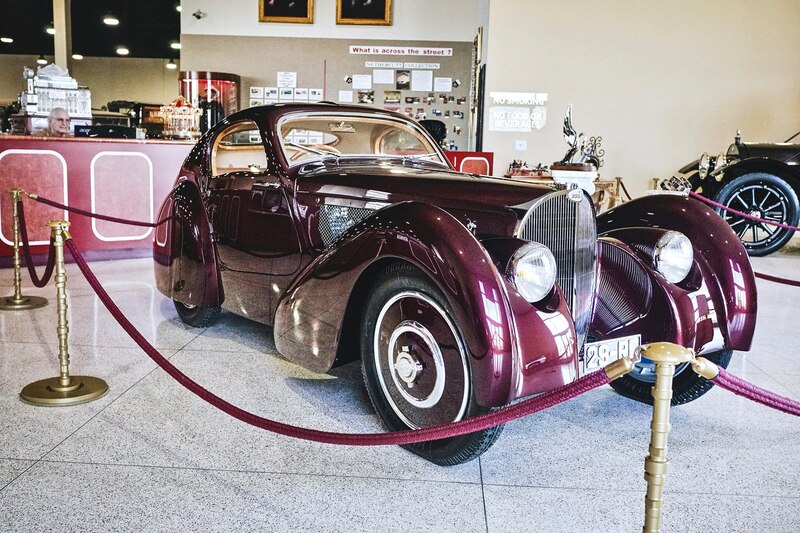 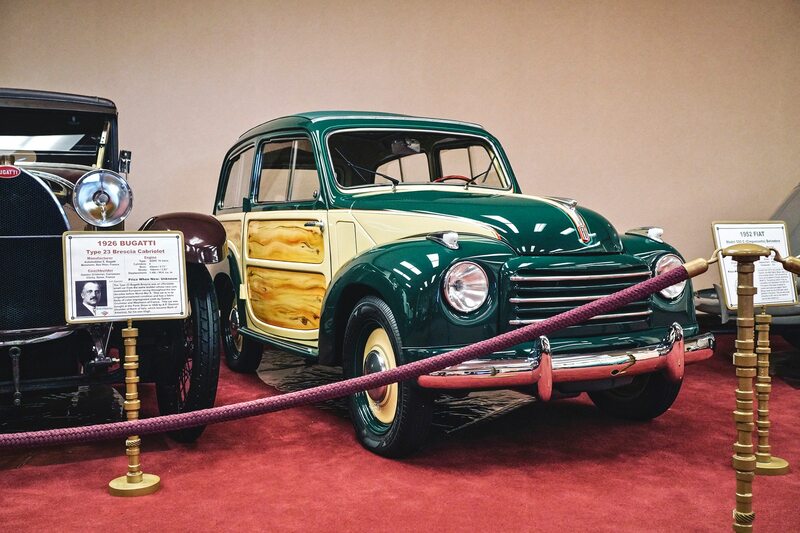 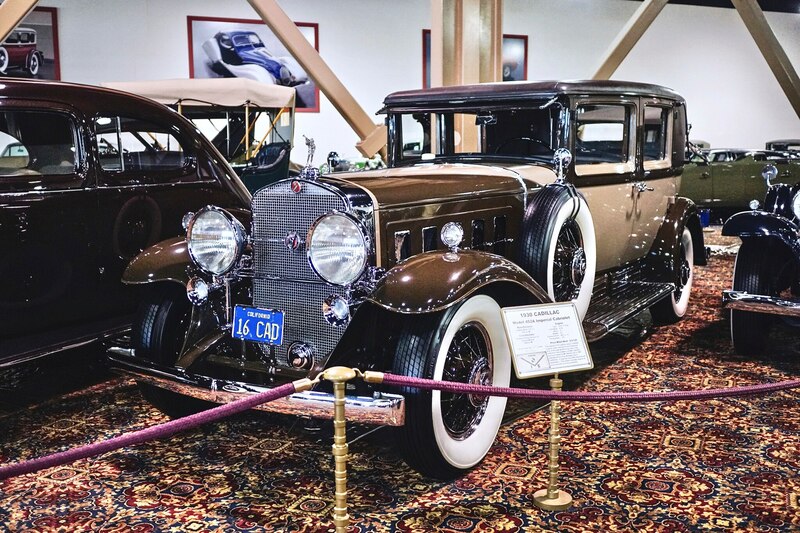 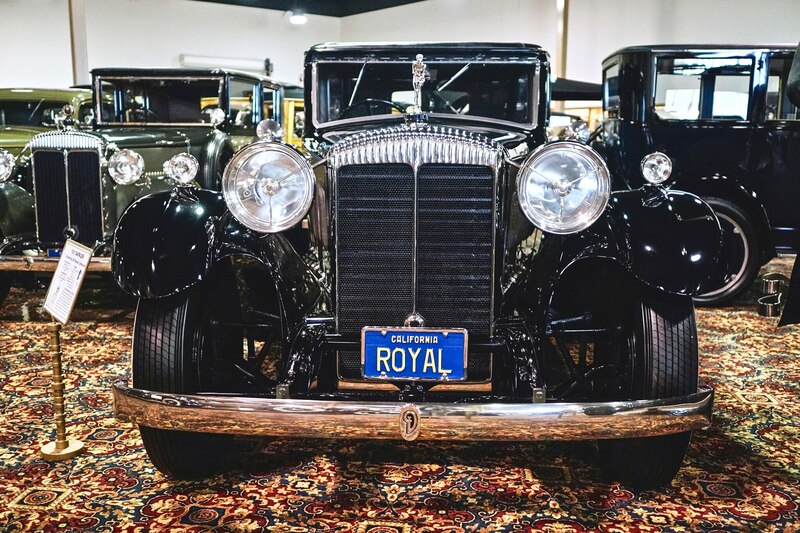 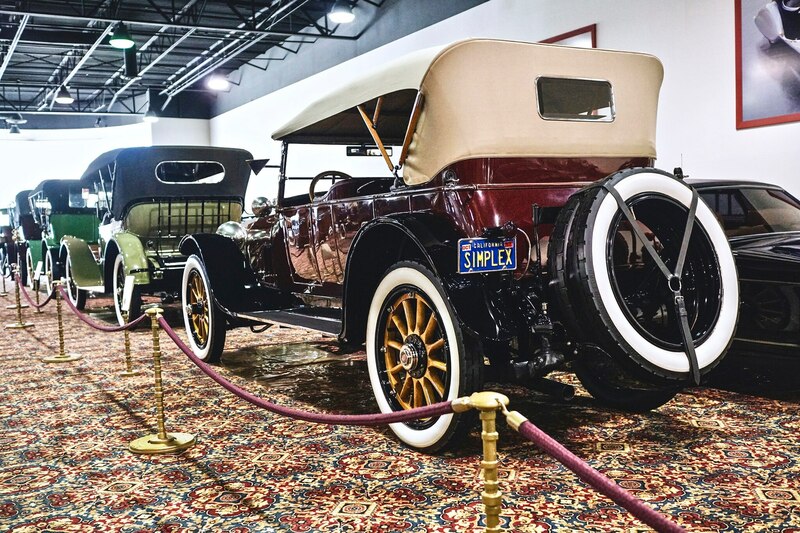 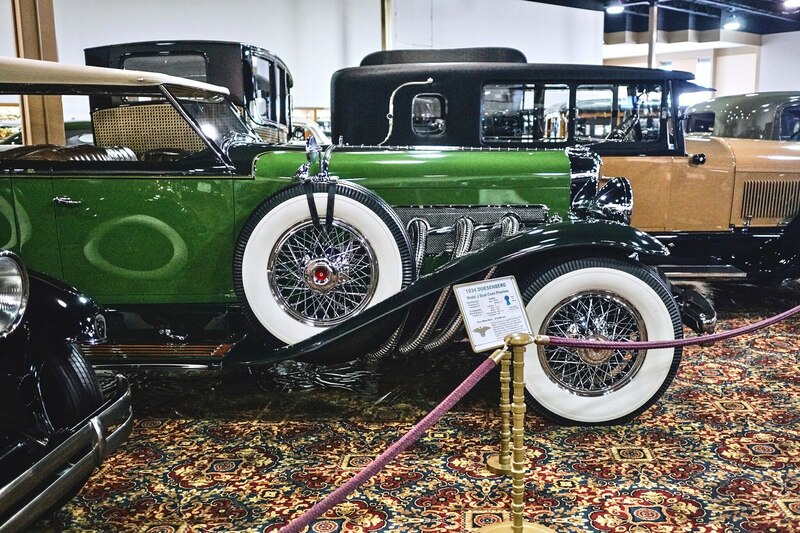 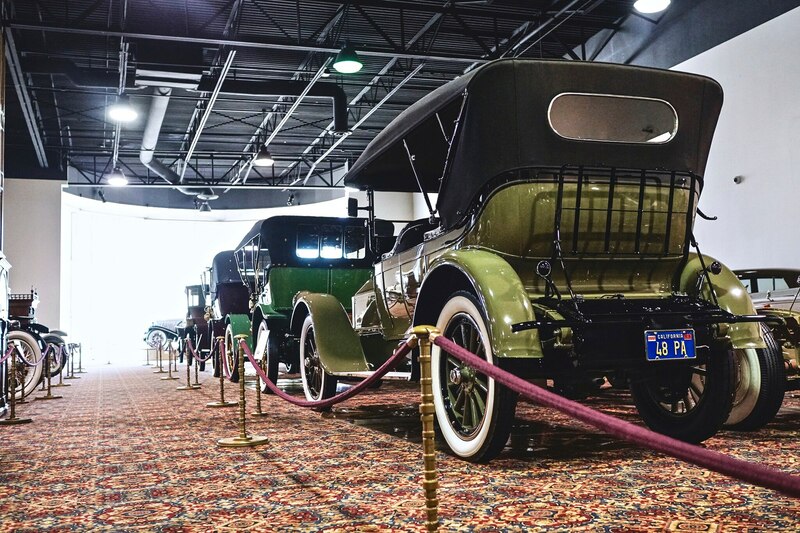 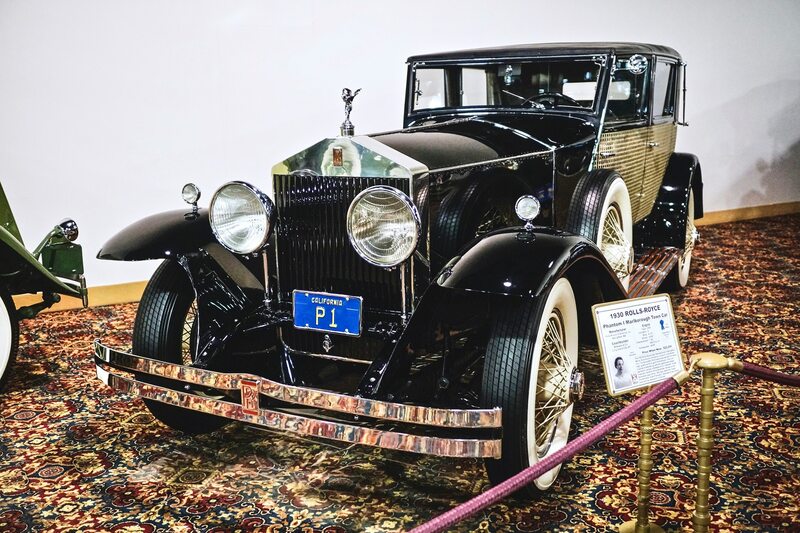 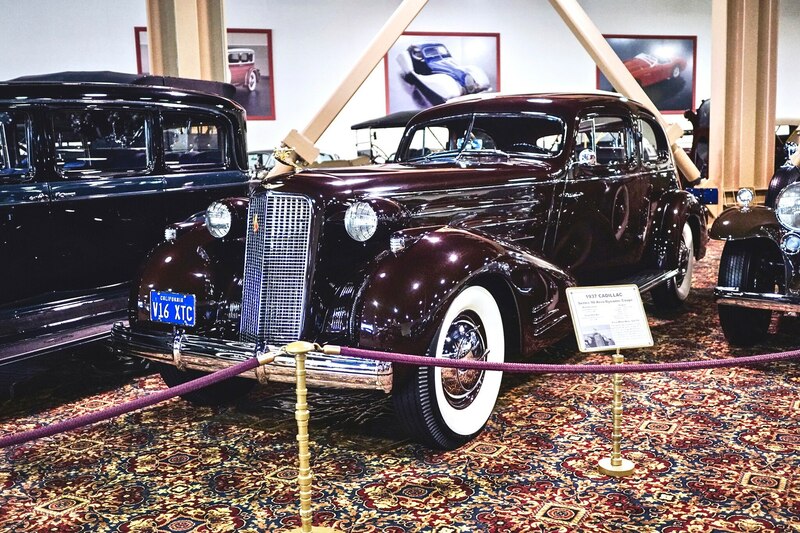 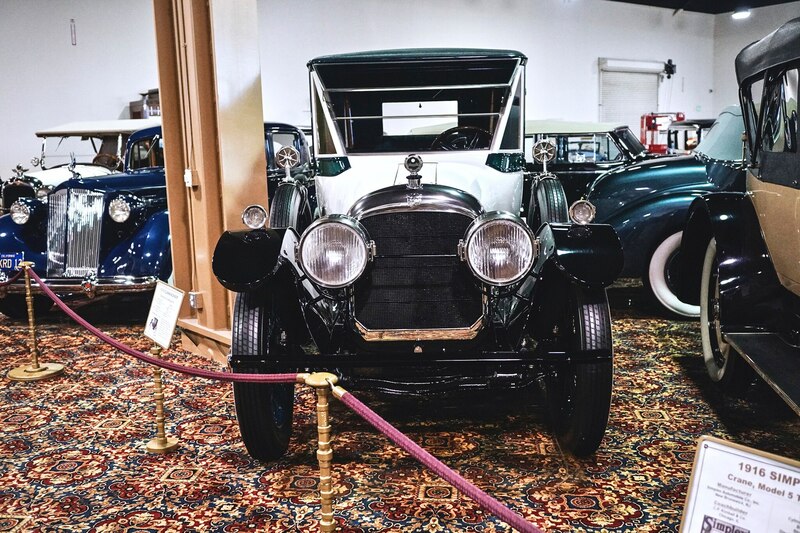 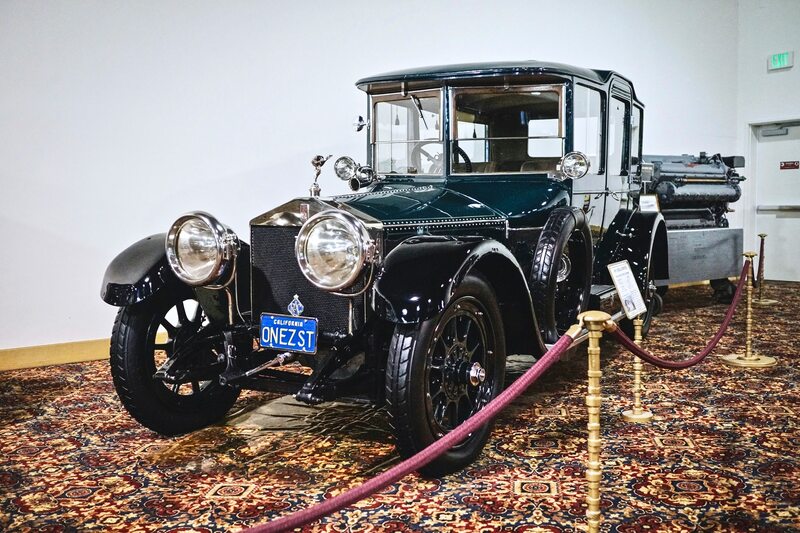 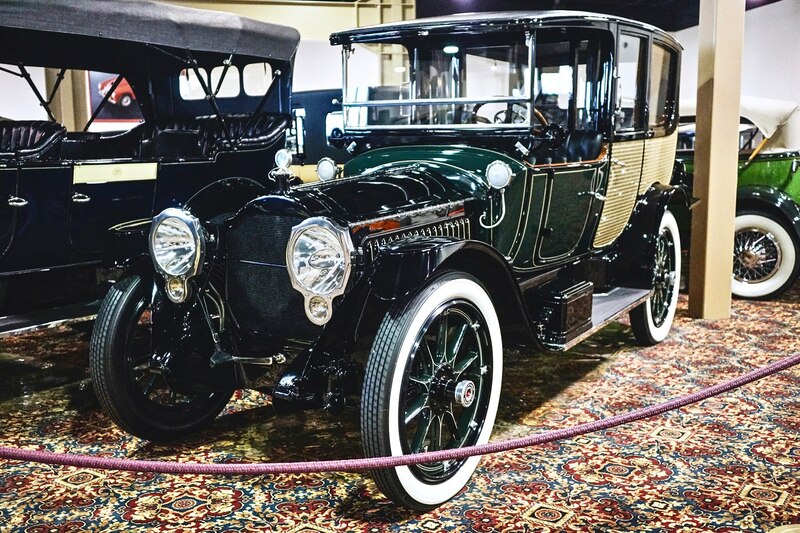 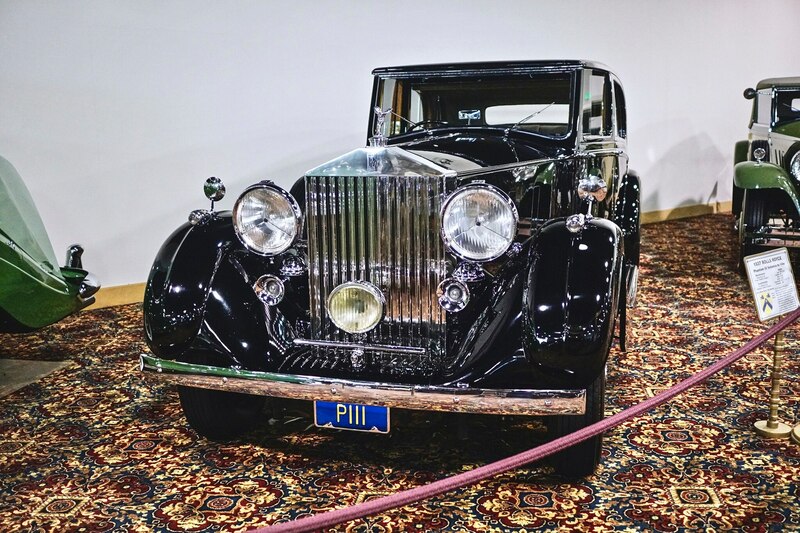 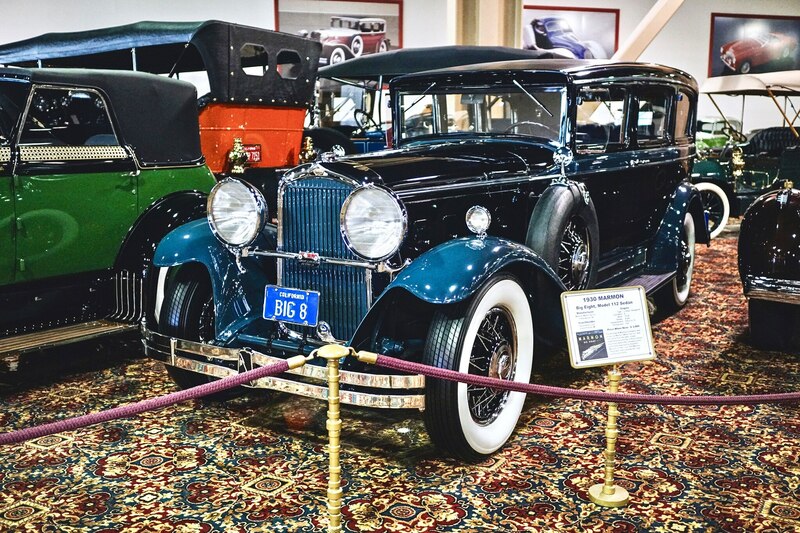 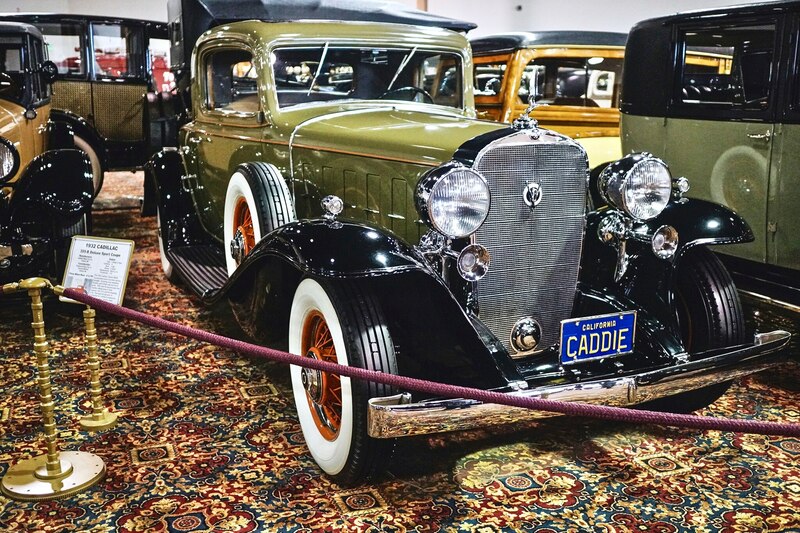 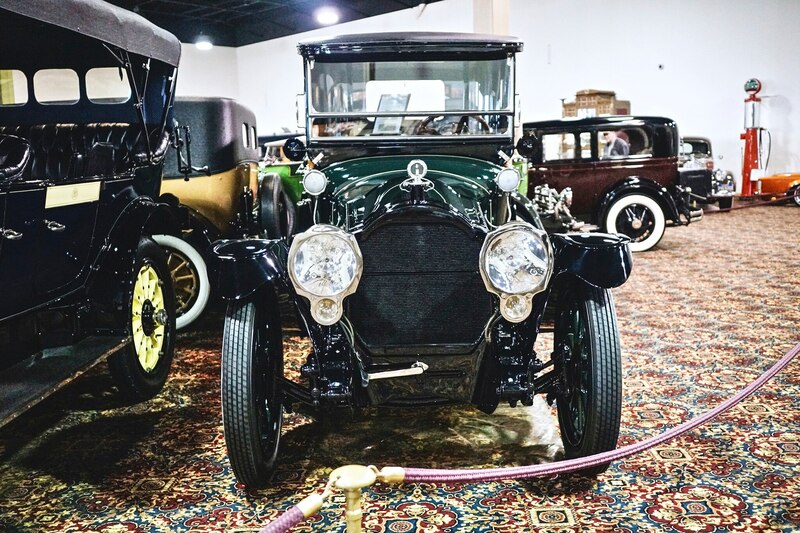 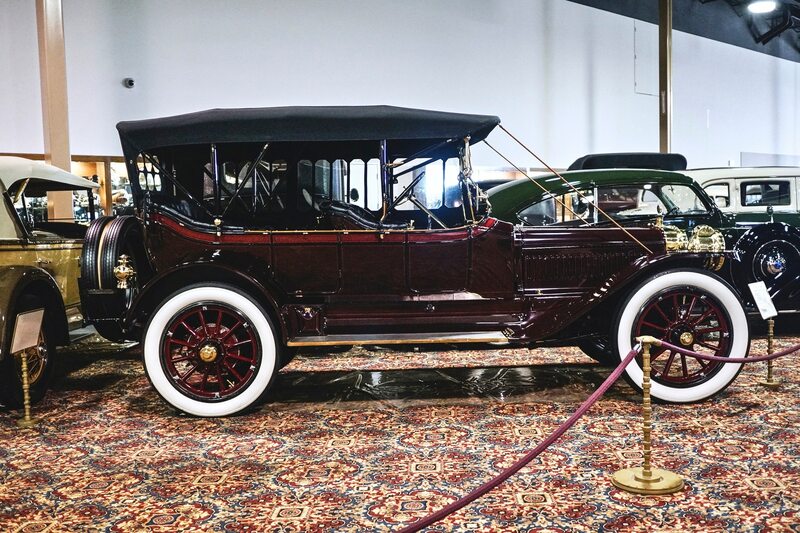 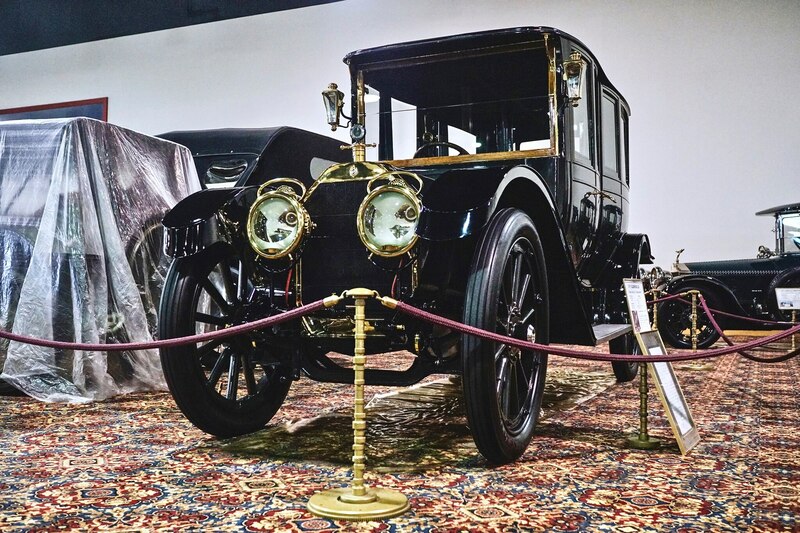 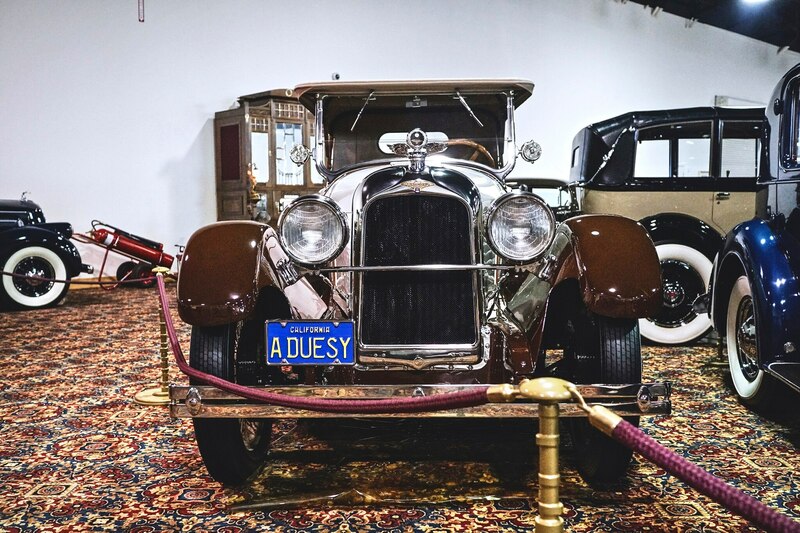 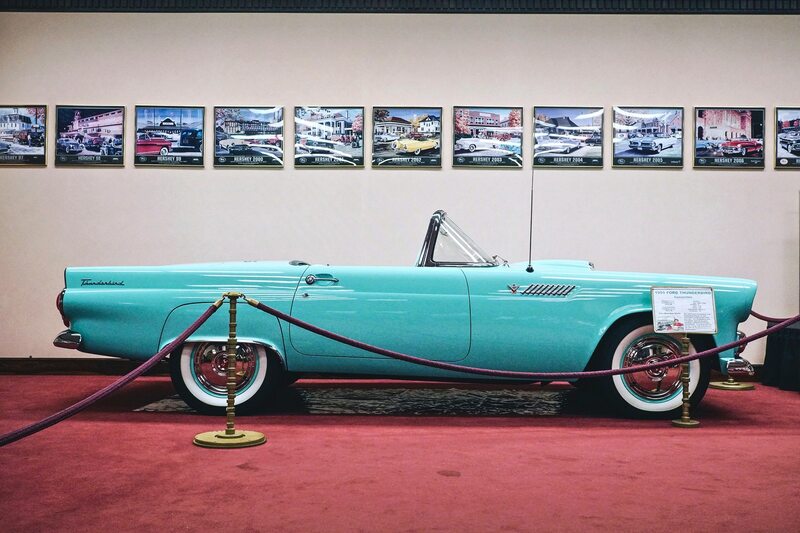 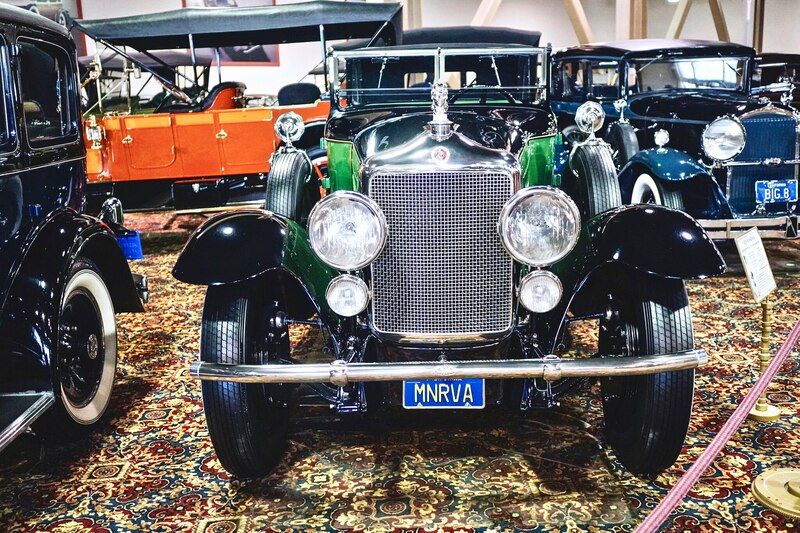 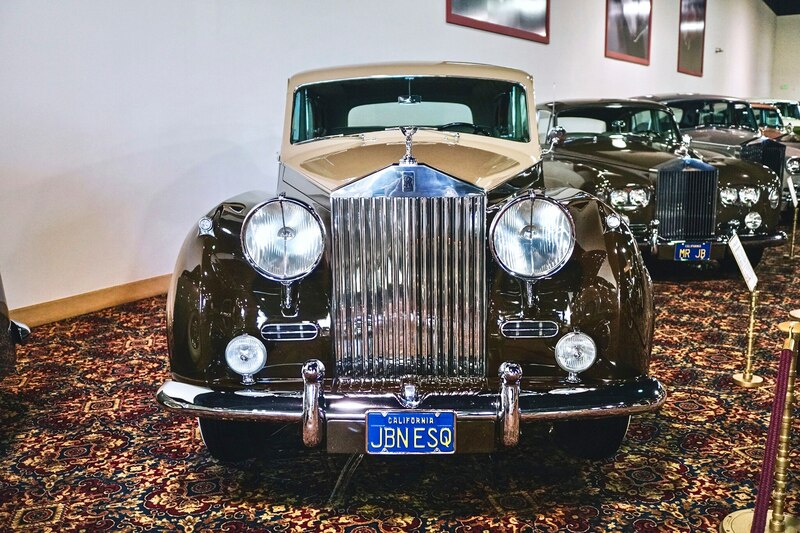 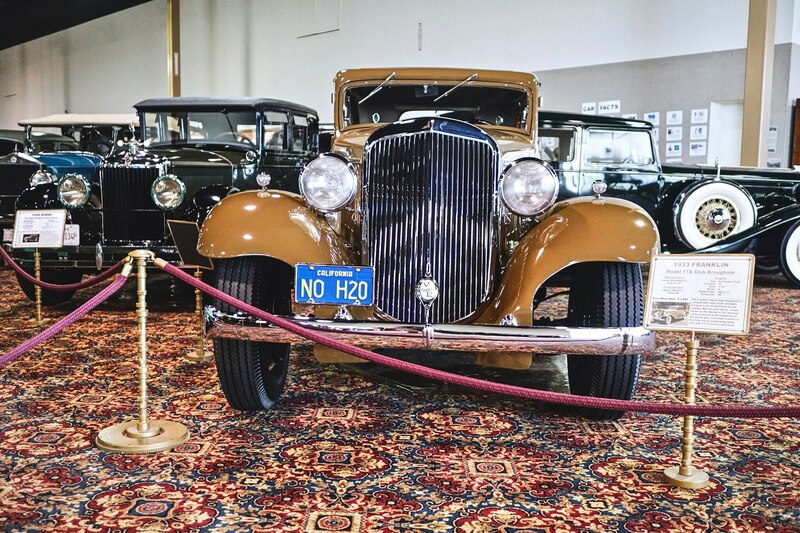 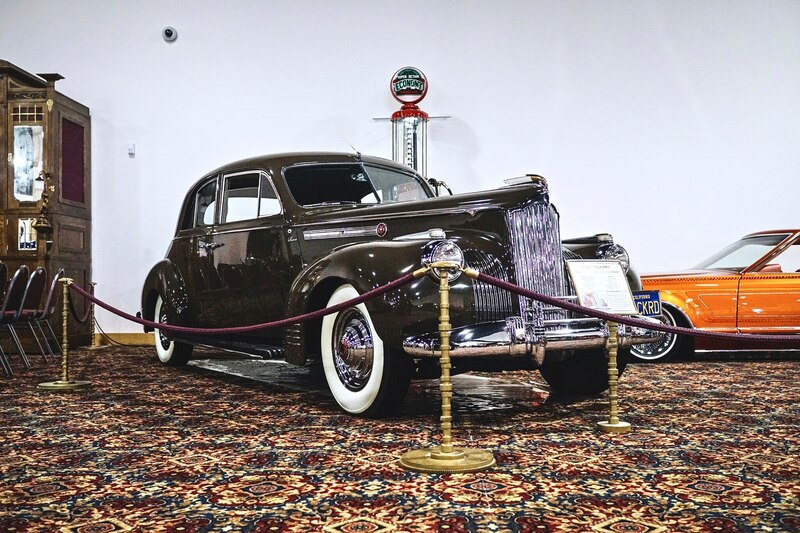 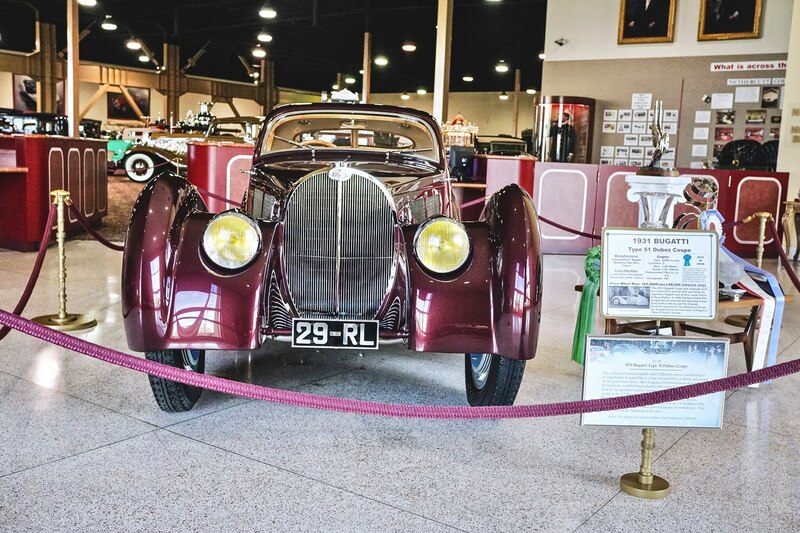 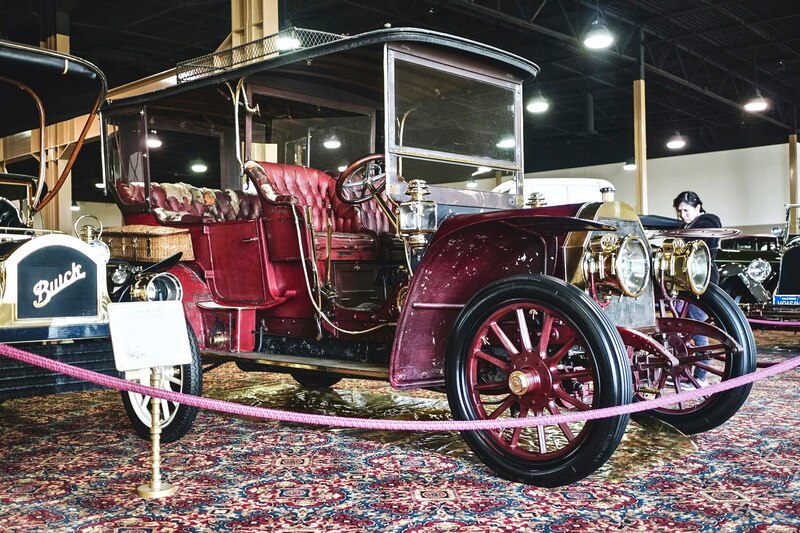 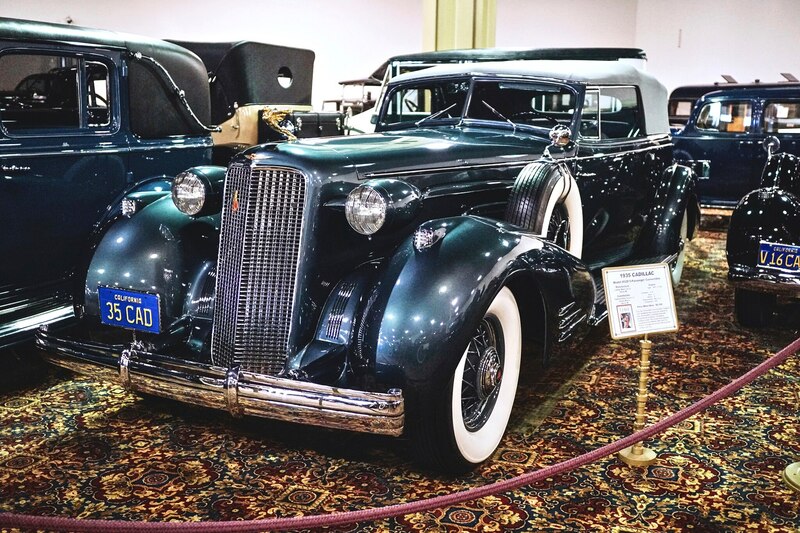 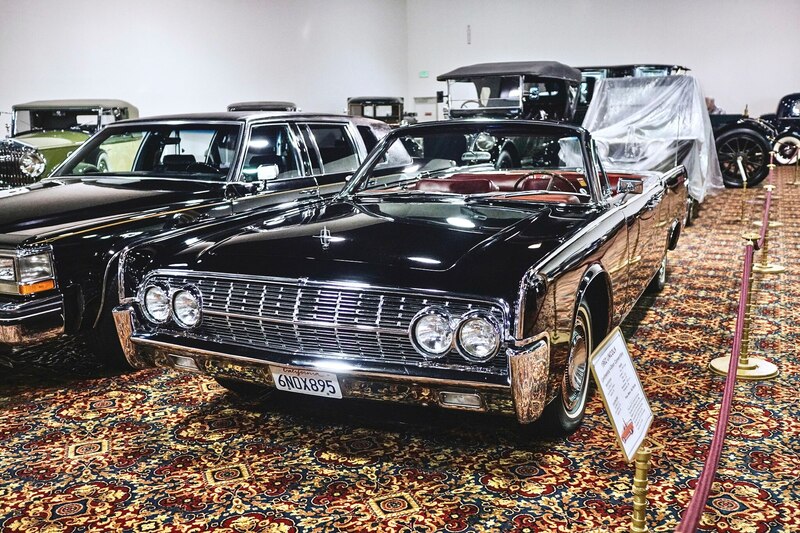 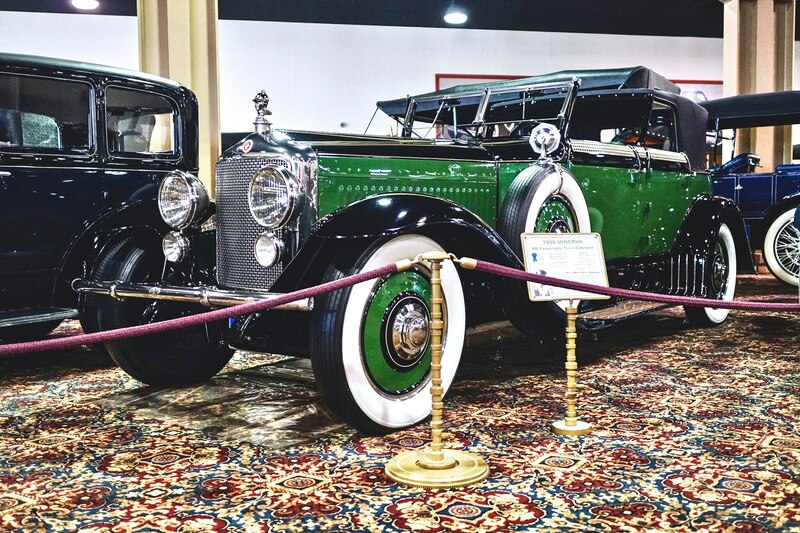 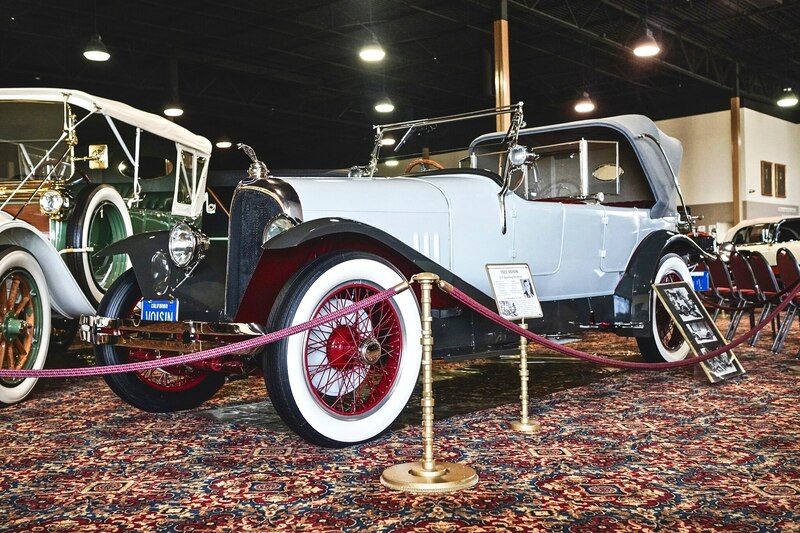 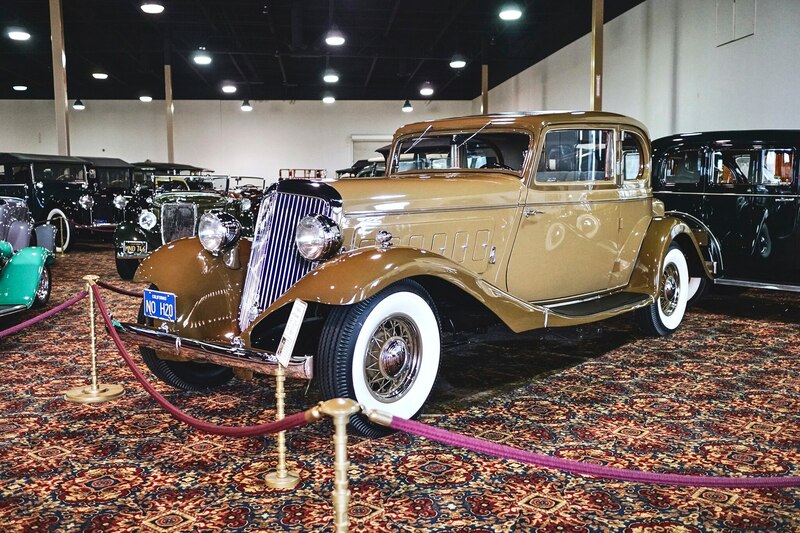 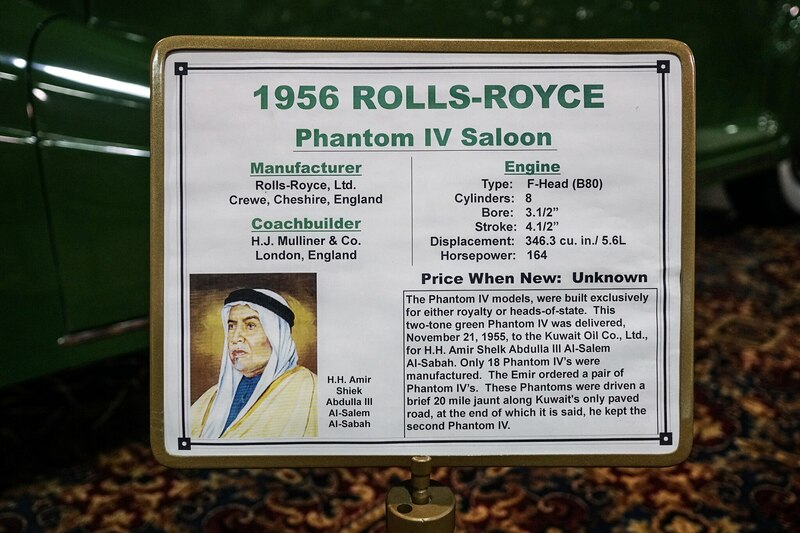 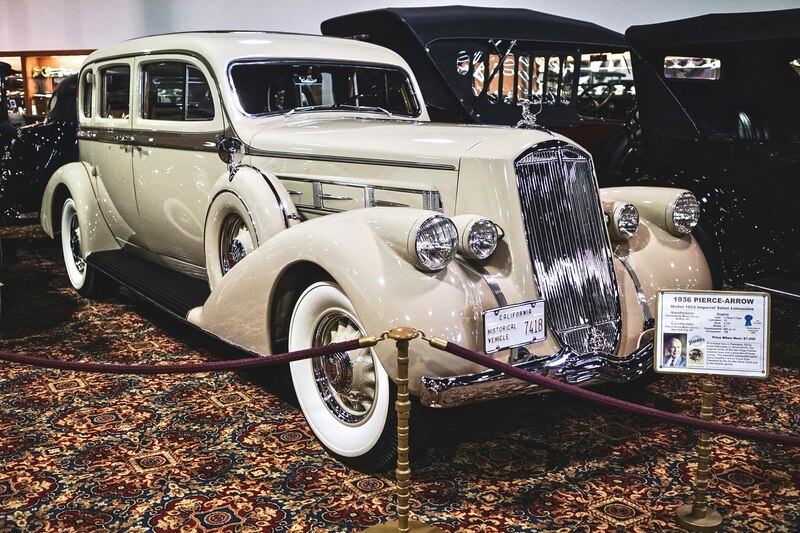 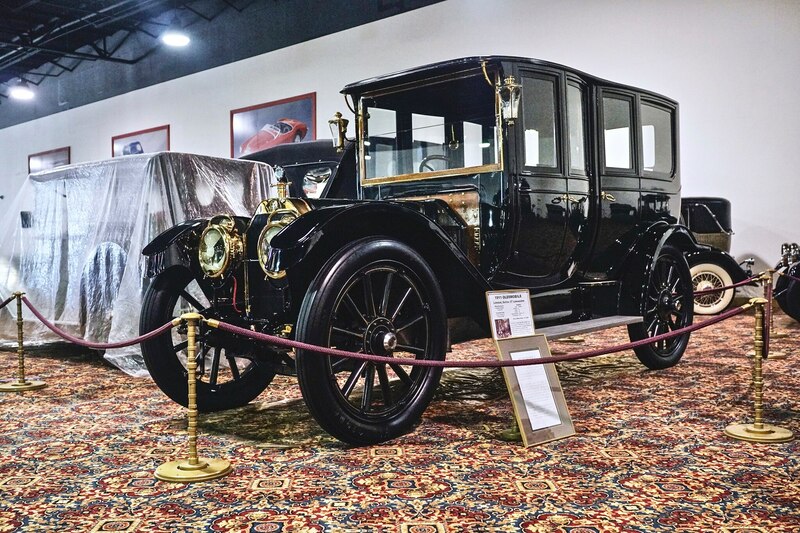 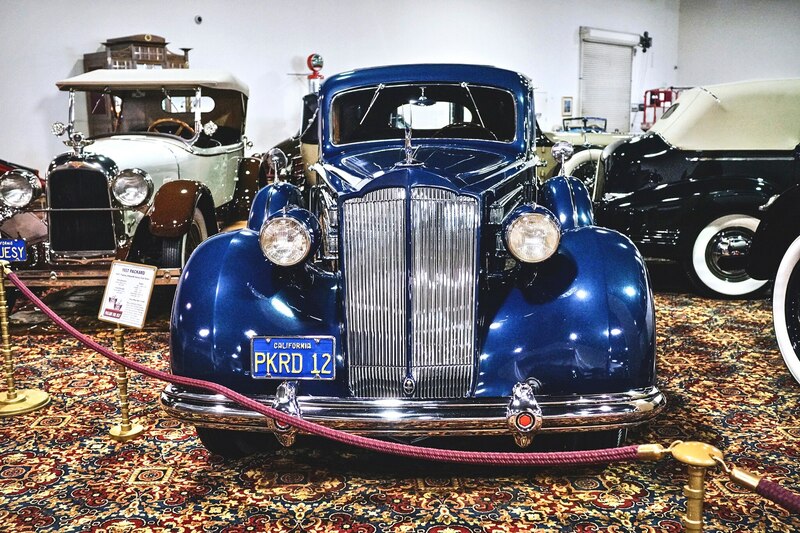 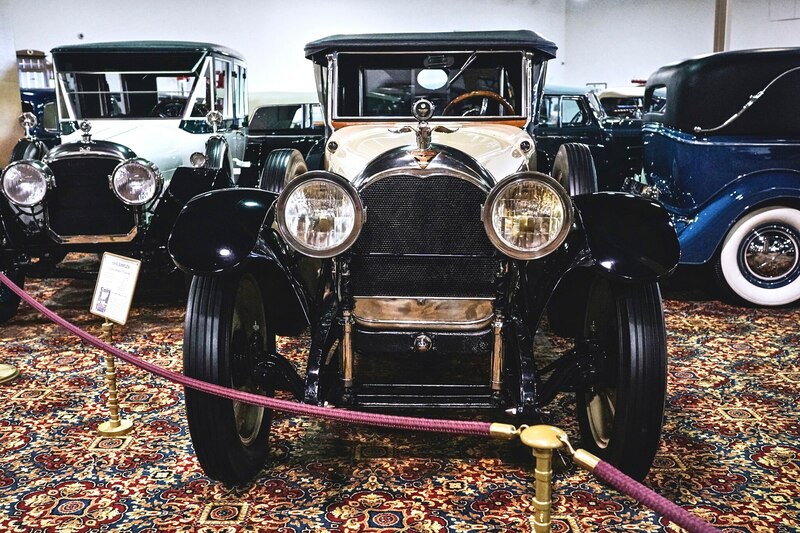 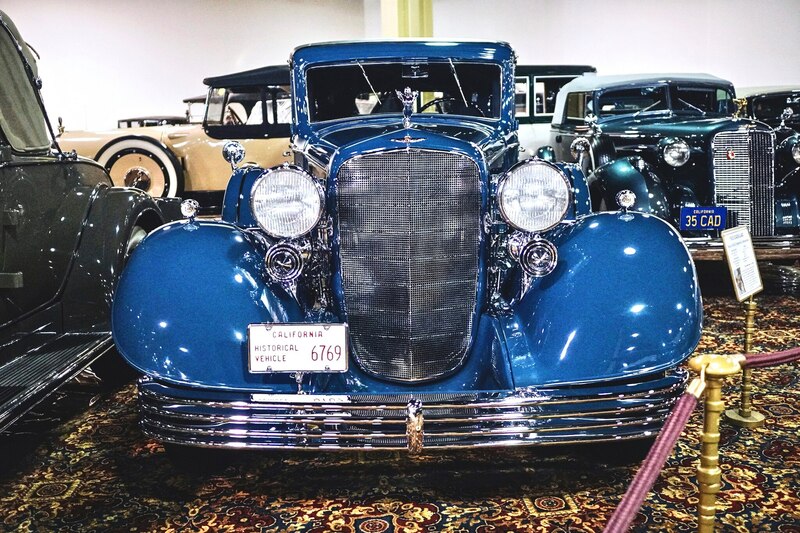 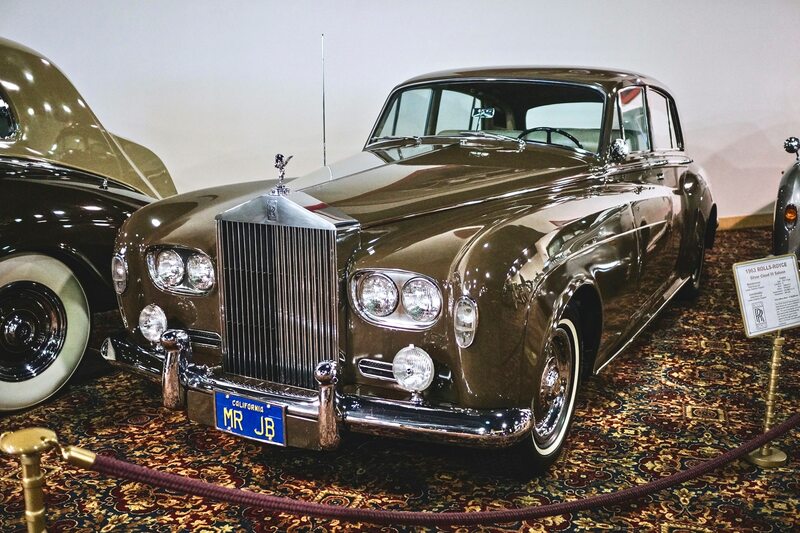 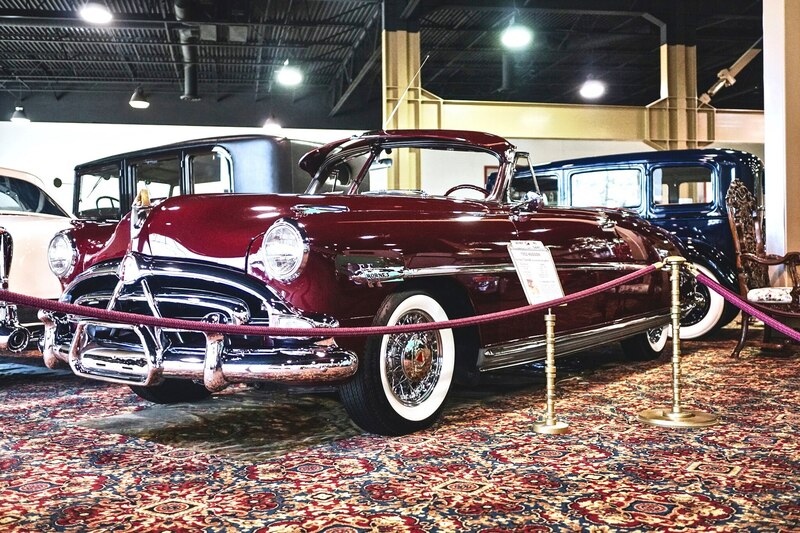 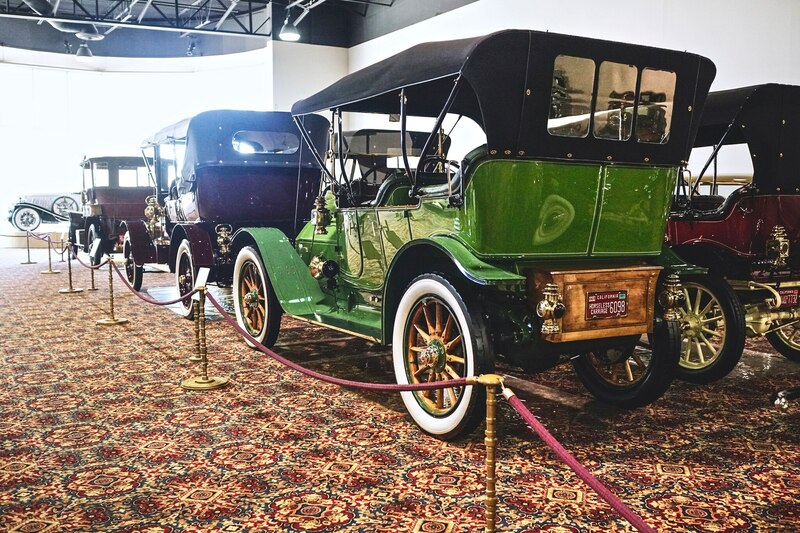 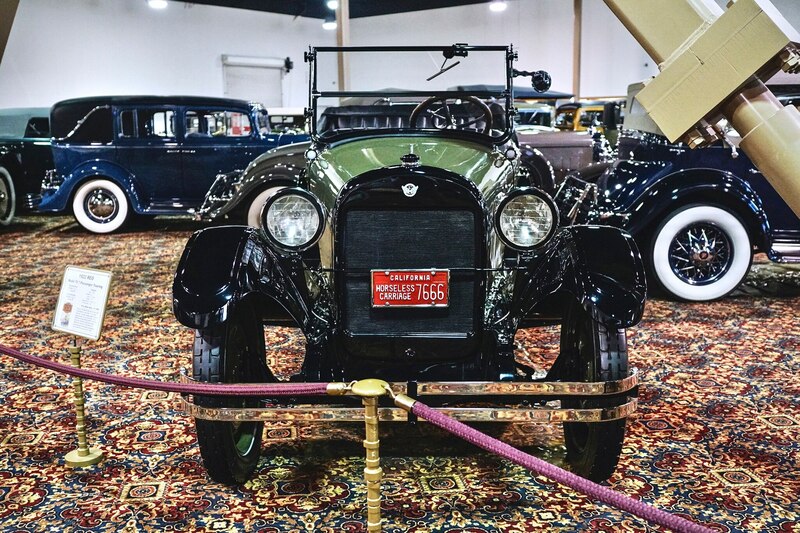 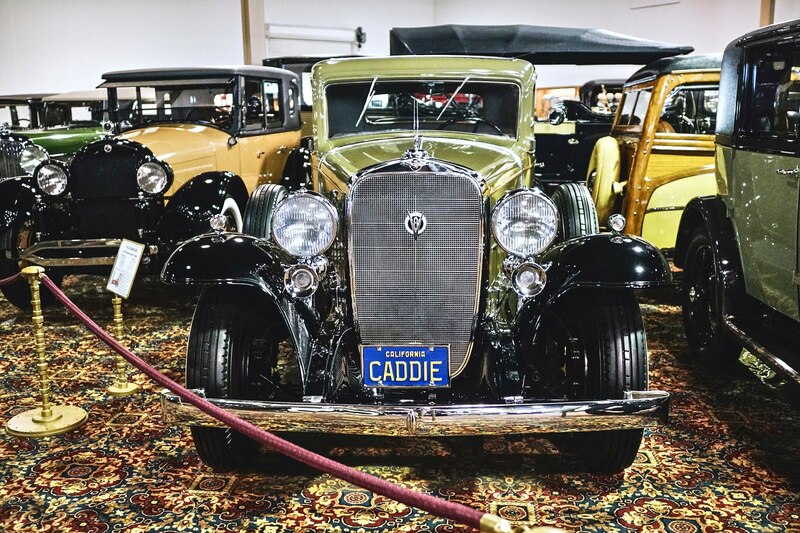 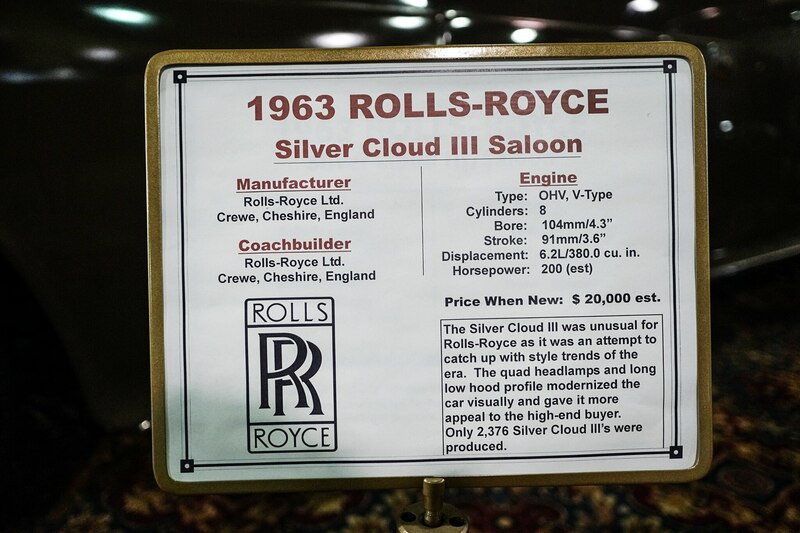 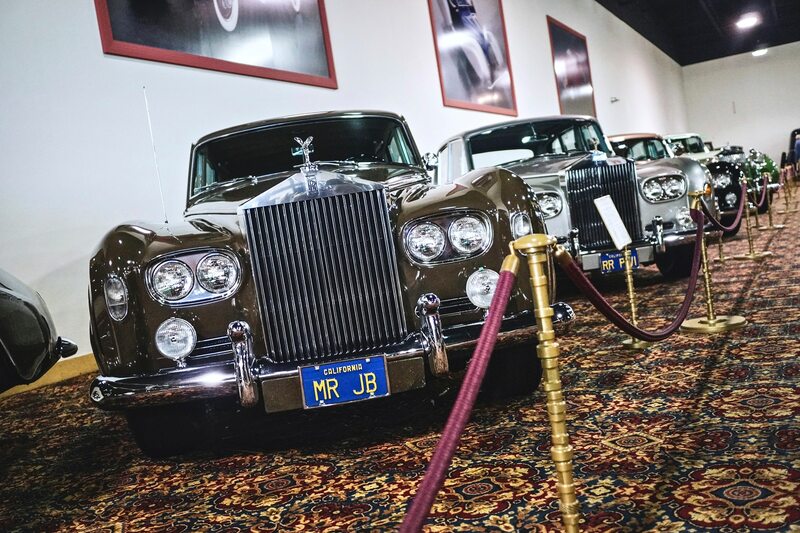 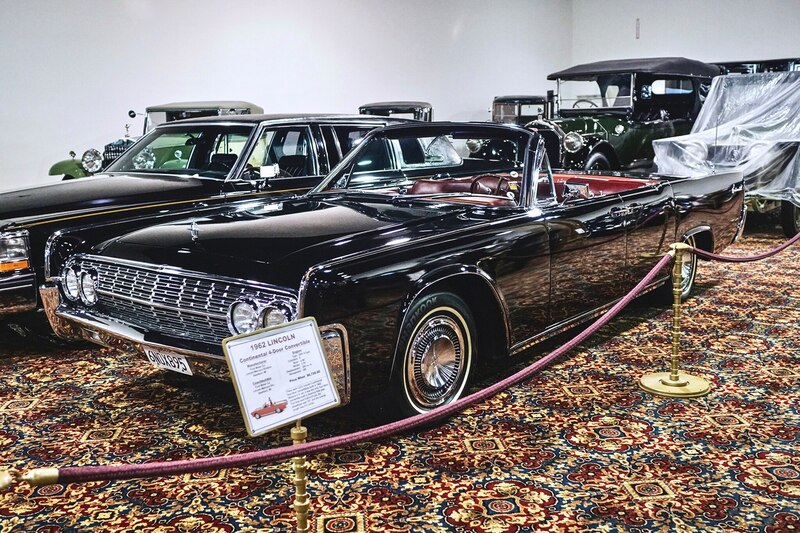 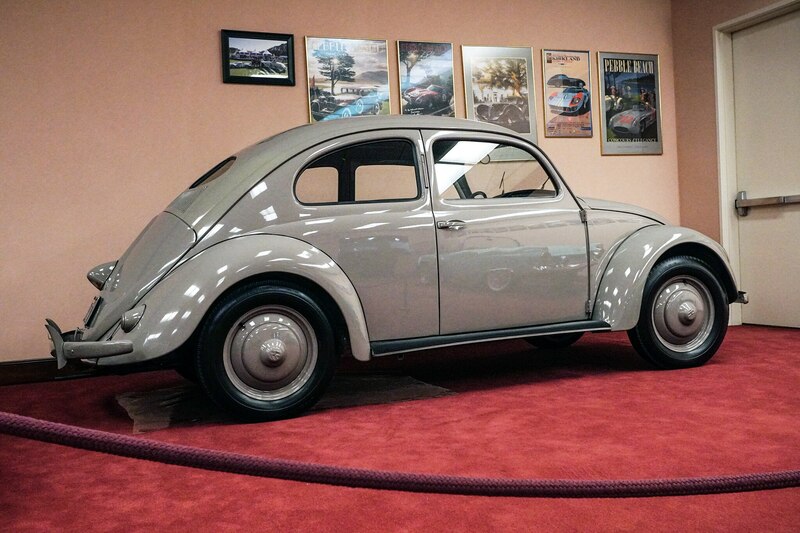 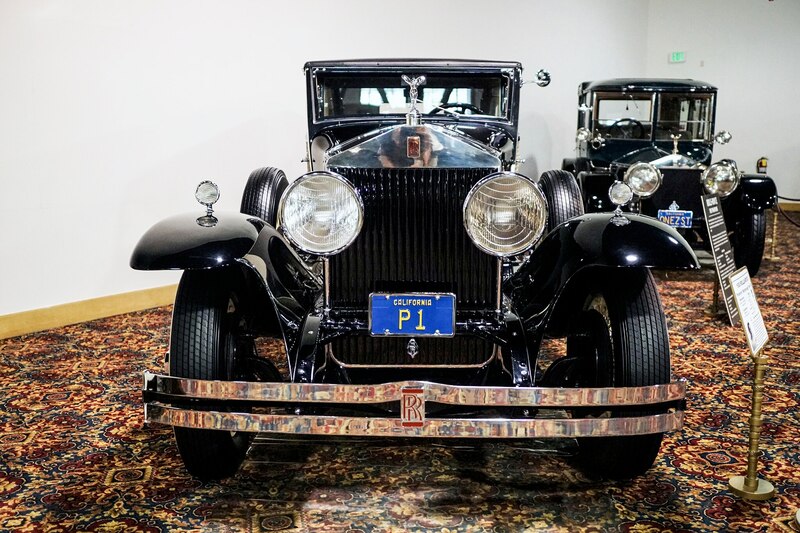 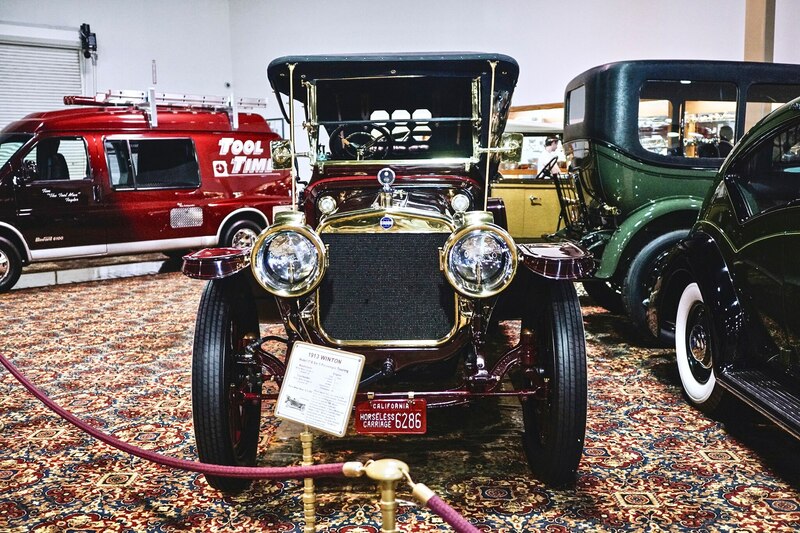 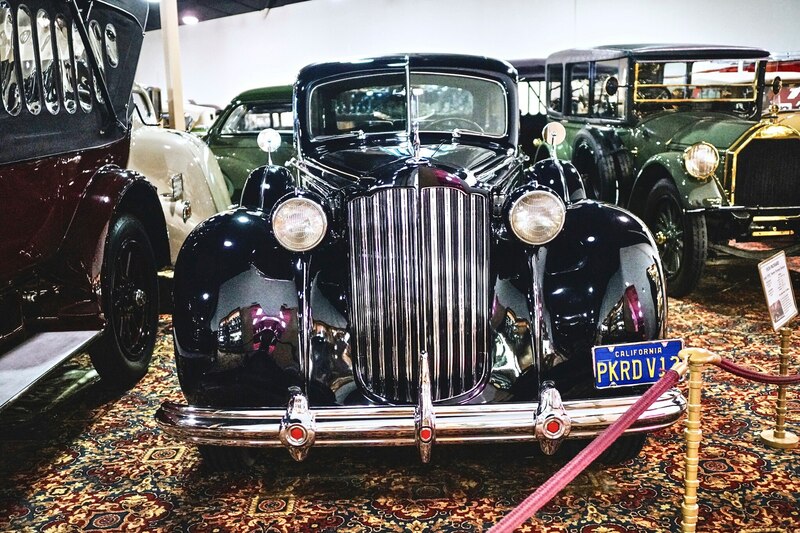 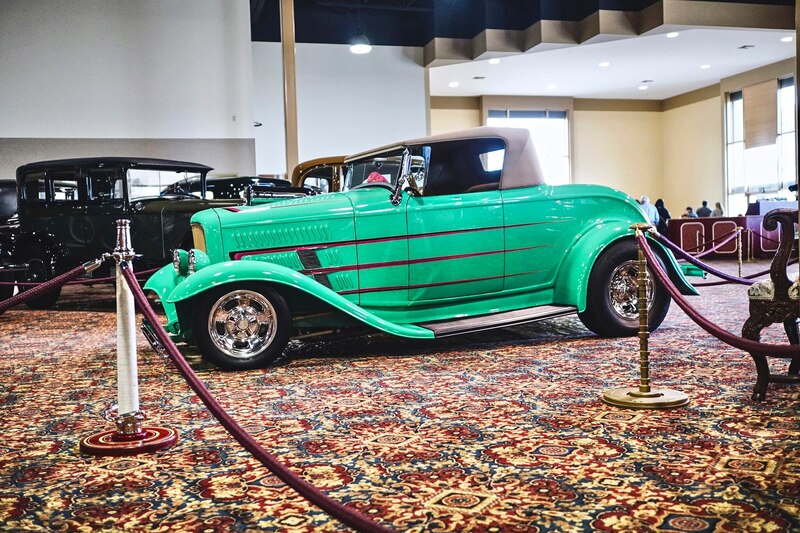 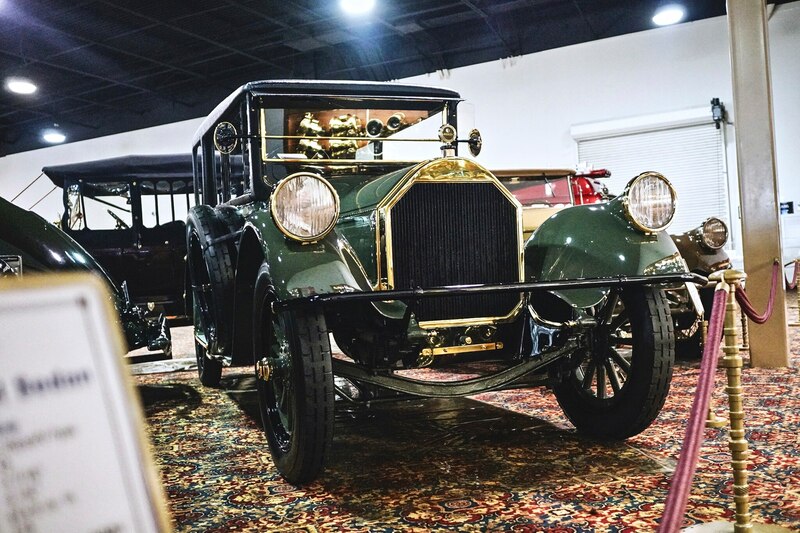 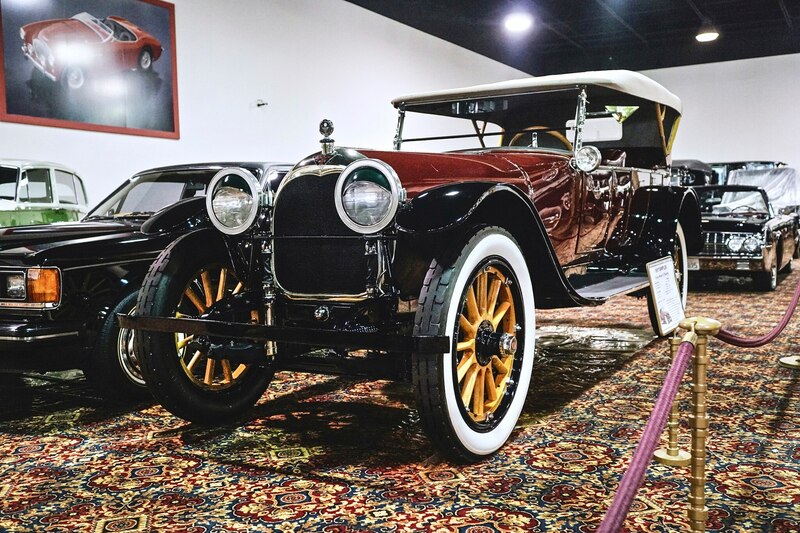 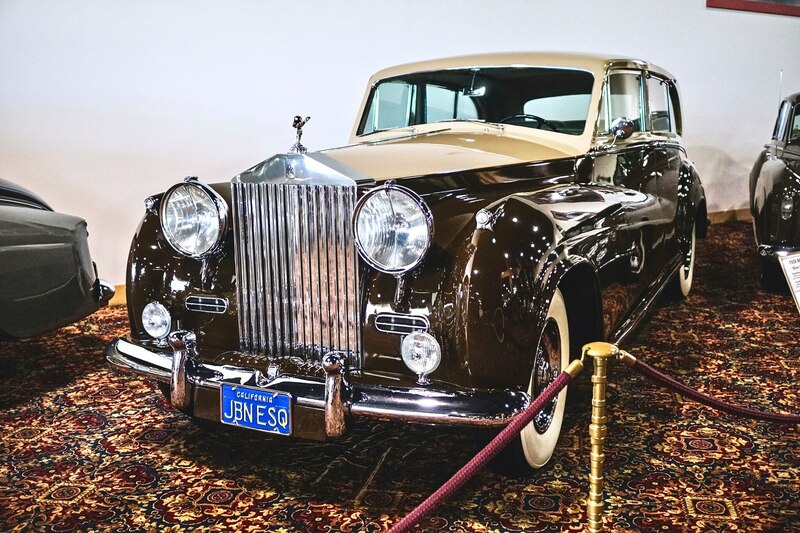 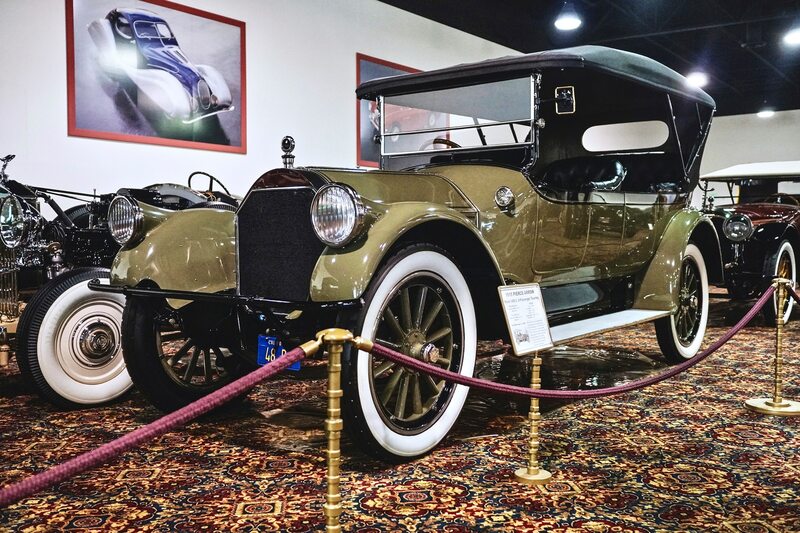 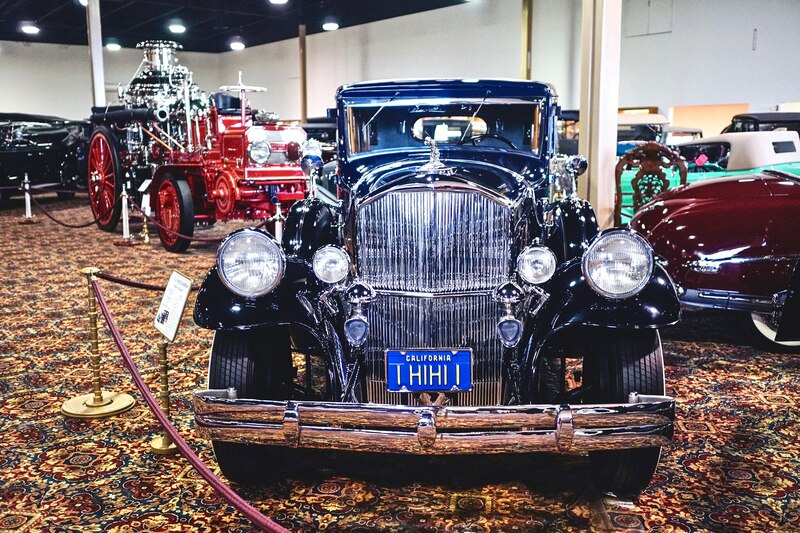 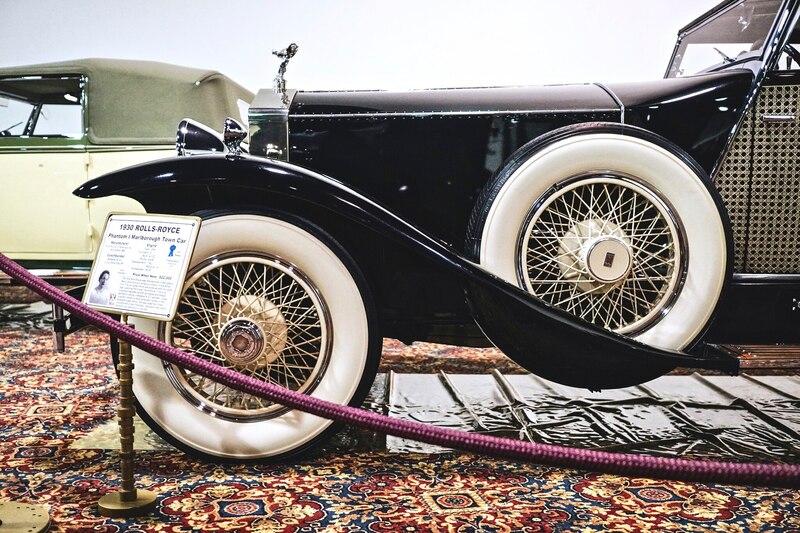 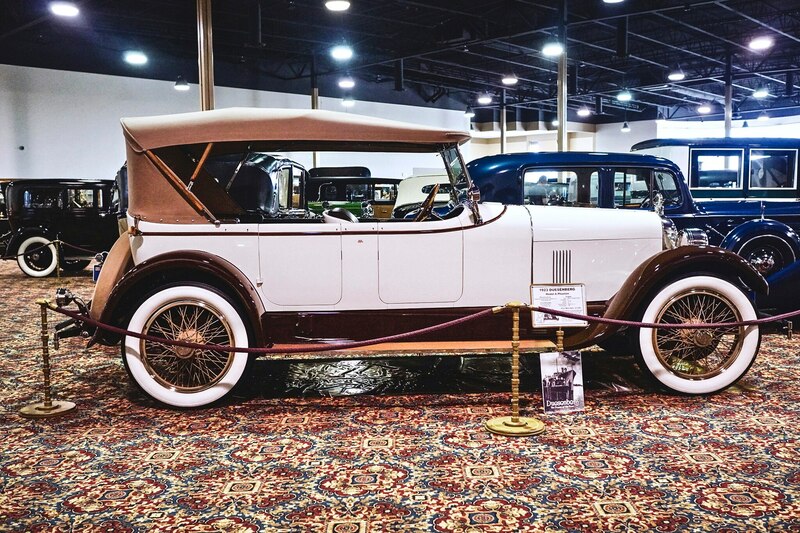 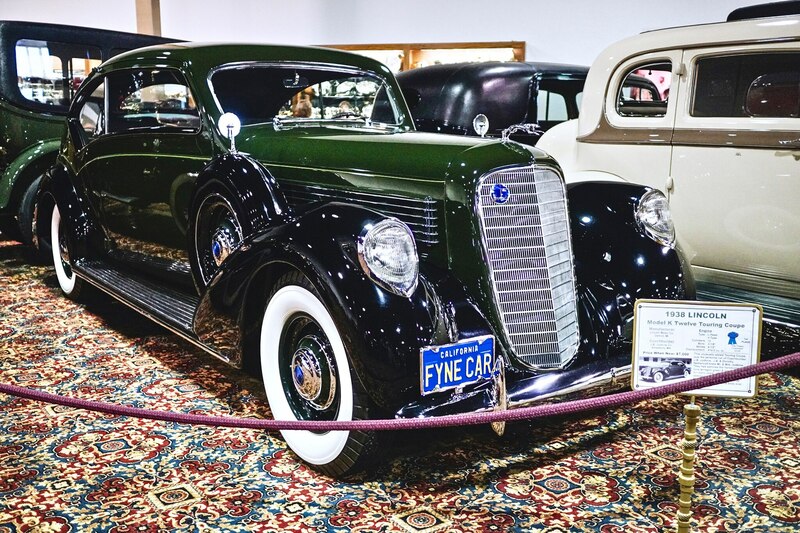 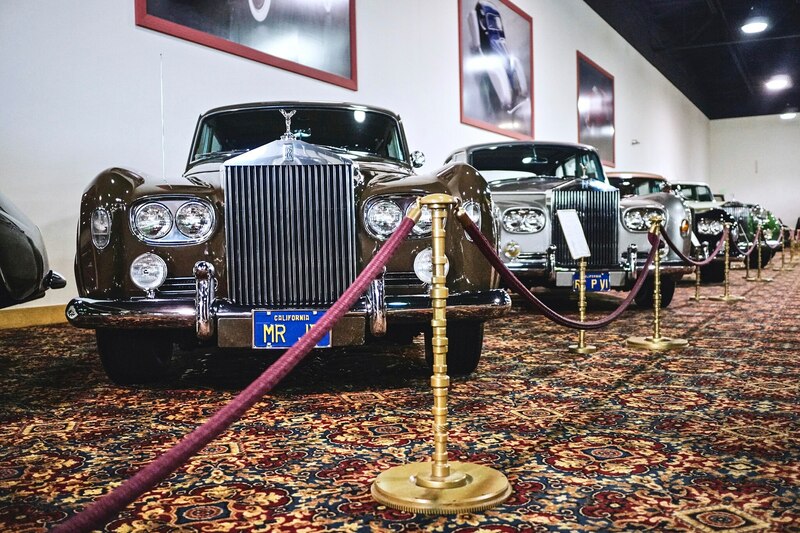 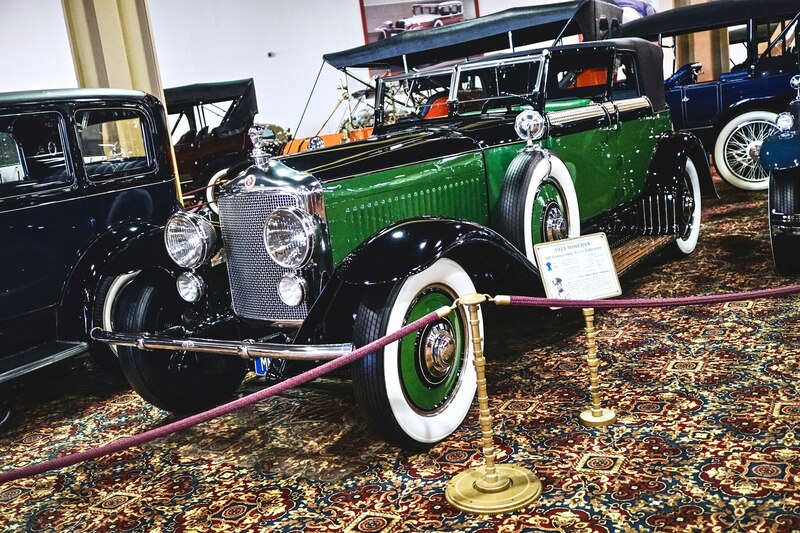 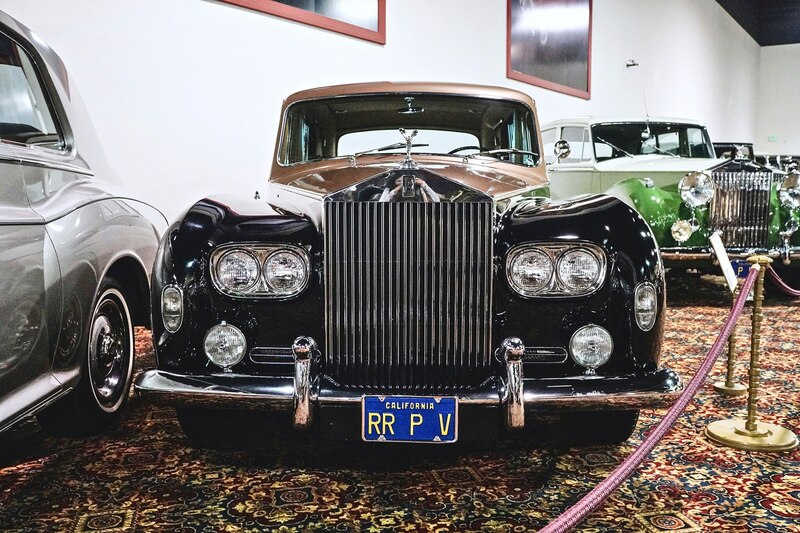 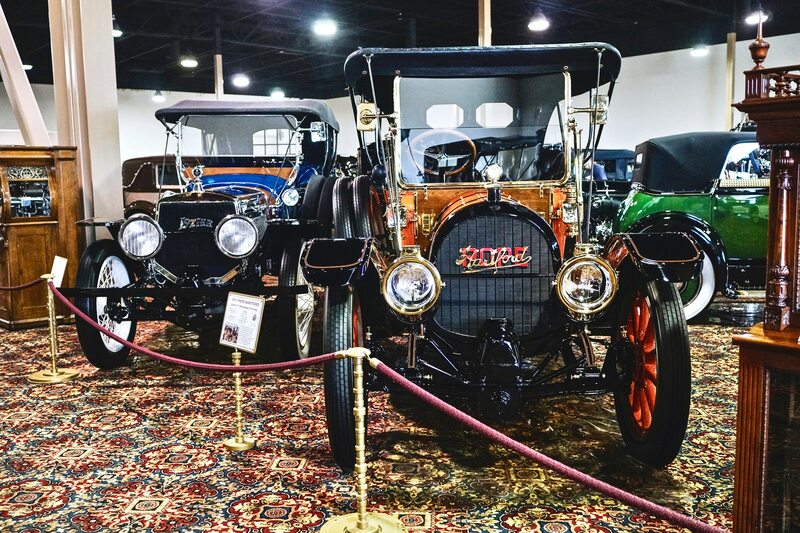 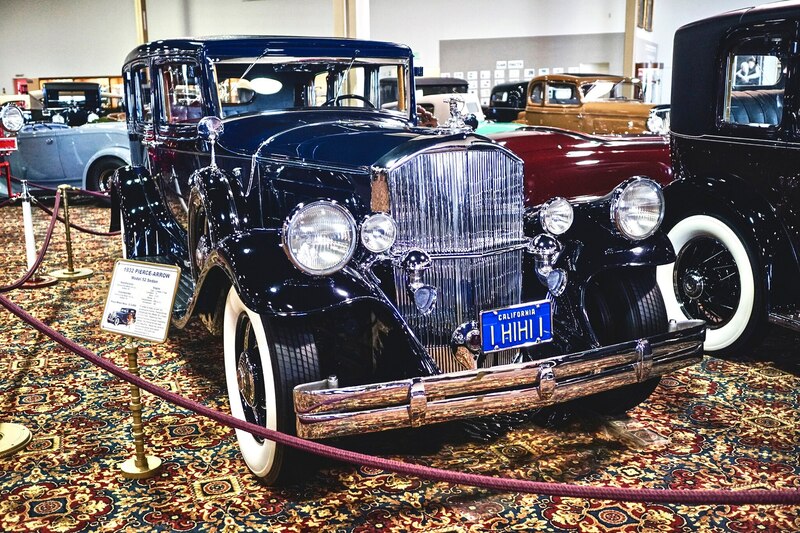 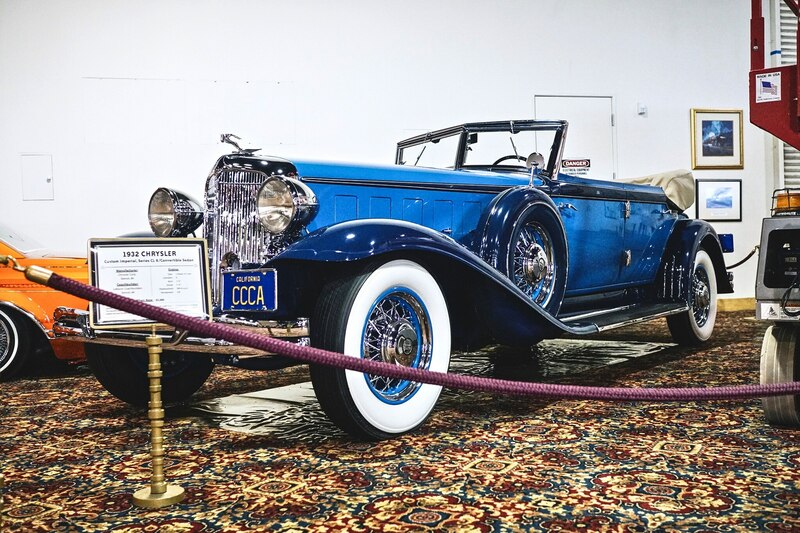 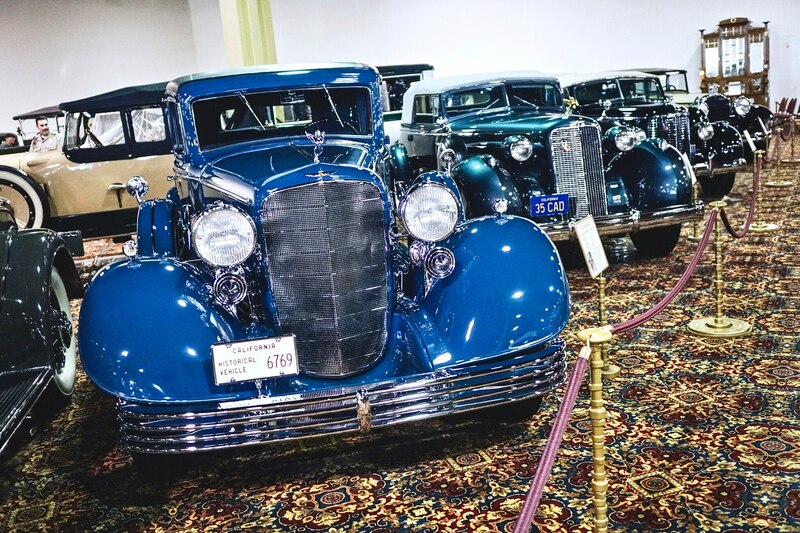 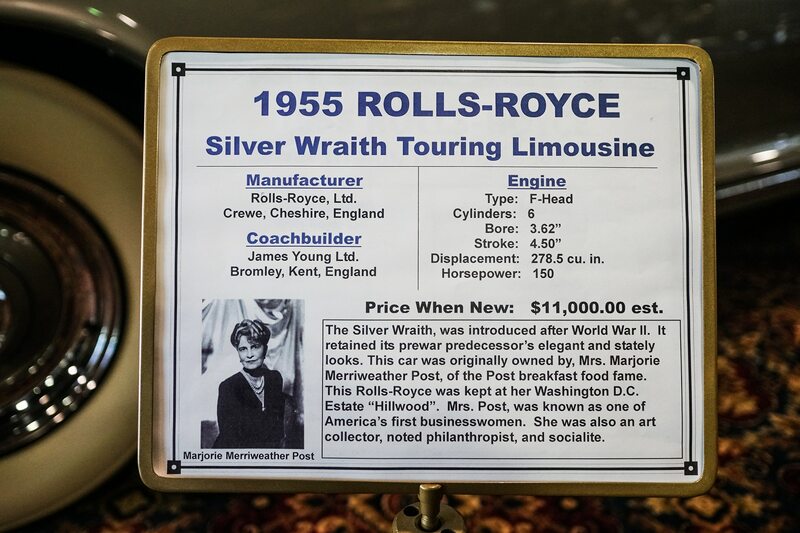 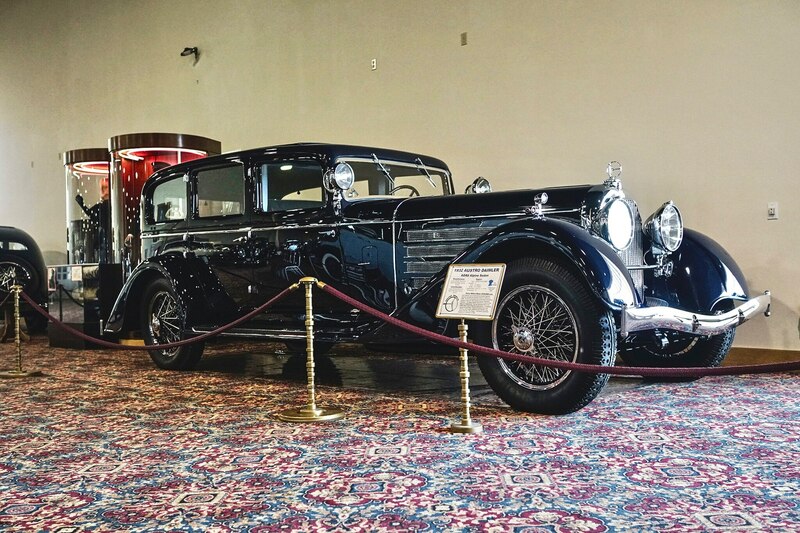 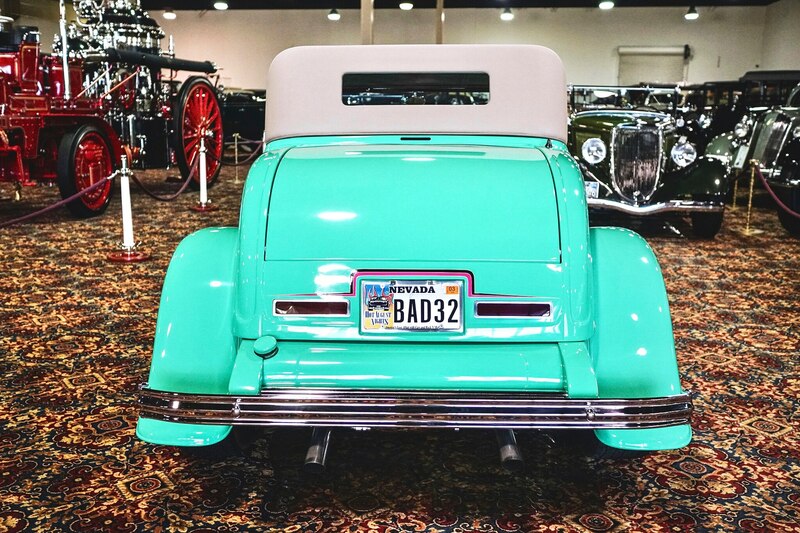 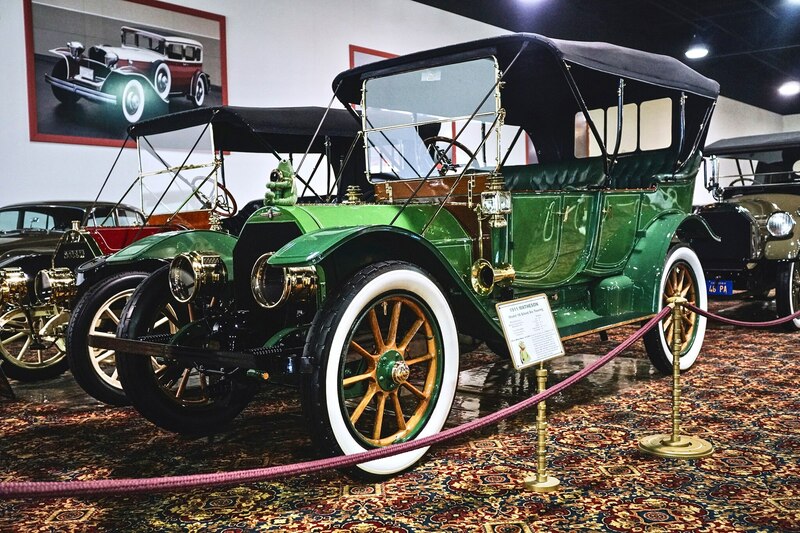 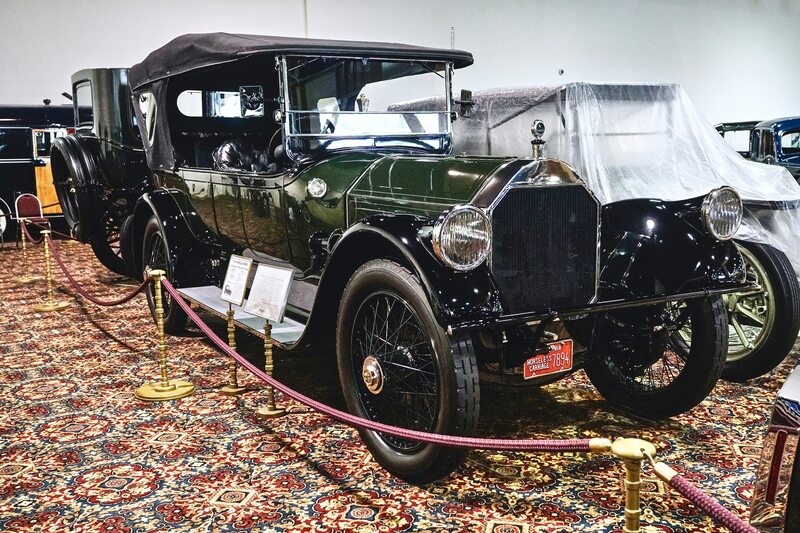 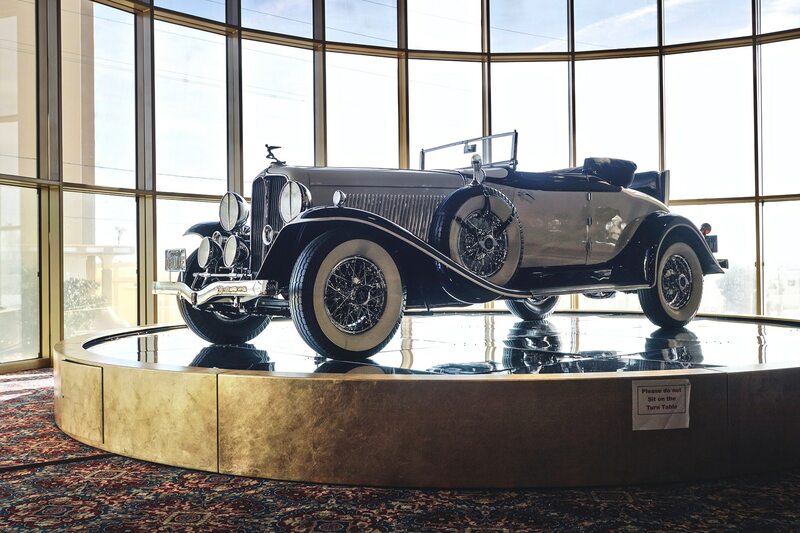 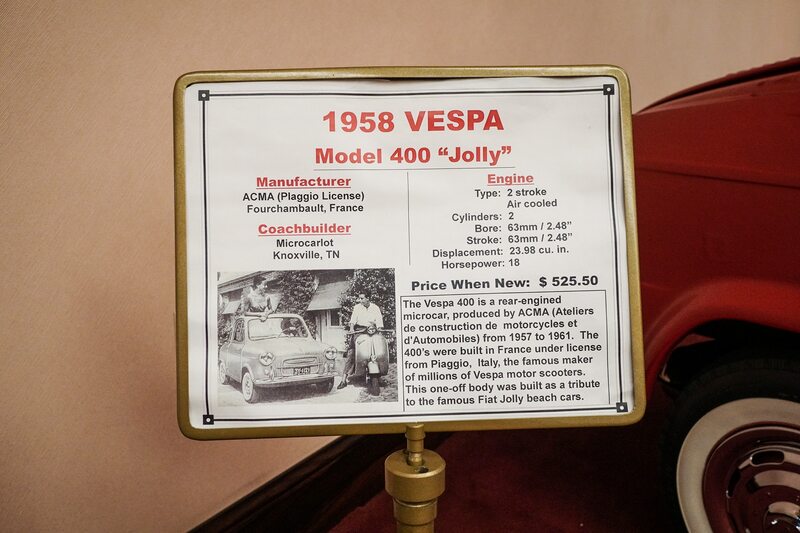 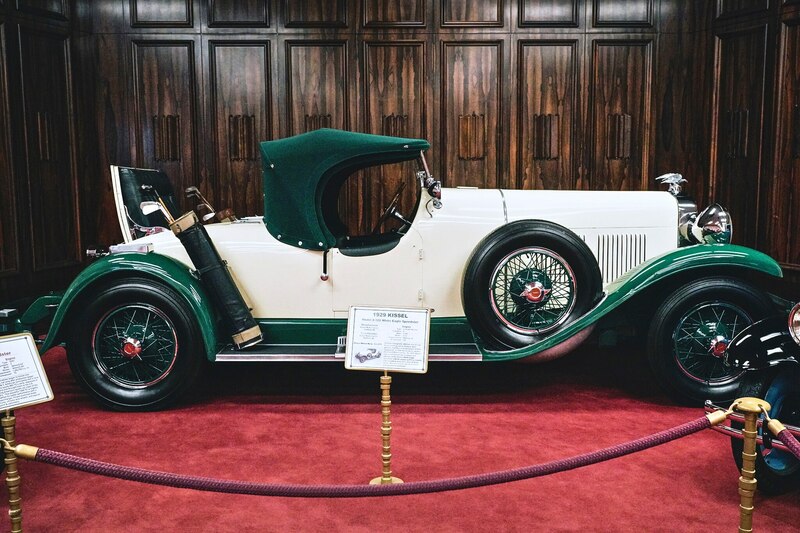 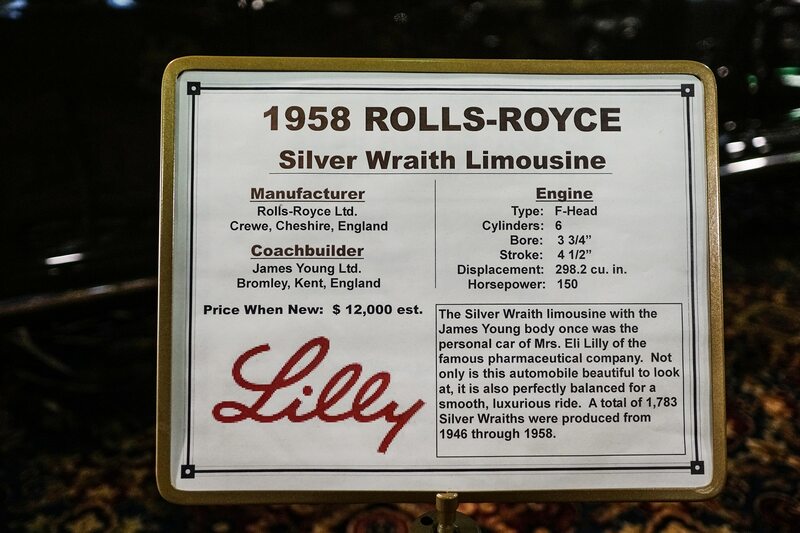 The Nethercutt museum and collection’s multiple floors are filled with cars, antique furniture, automobilia, and mechanical musical instruments, and there’s even a vintage locomotive complete with a private car on the grounds. 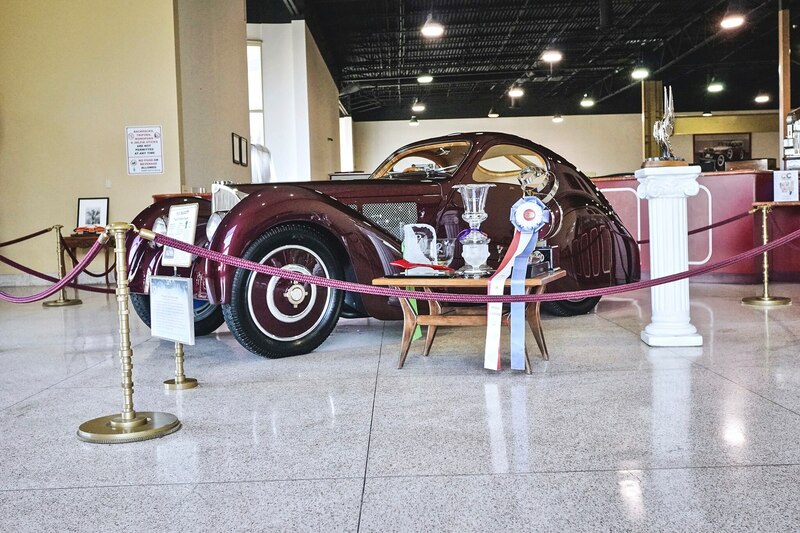 The Nethercutt is also home to one of the top automotive research libraries in the world, and the automotive portion of the museum has offered free admission, parking, and guided tours since its inception. 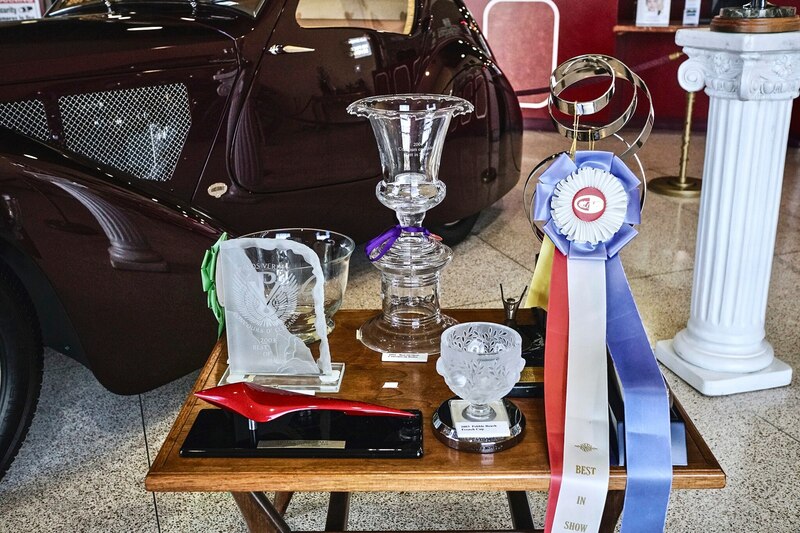 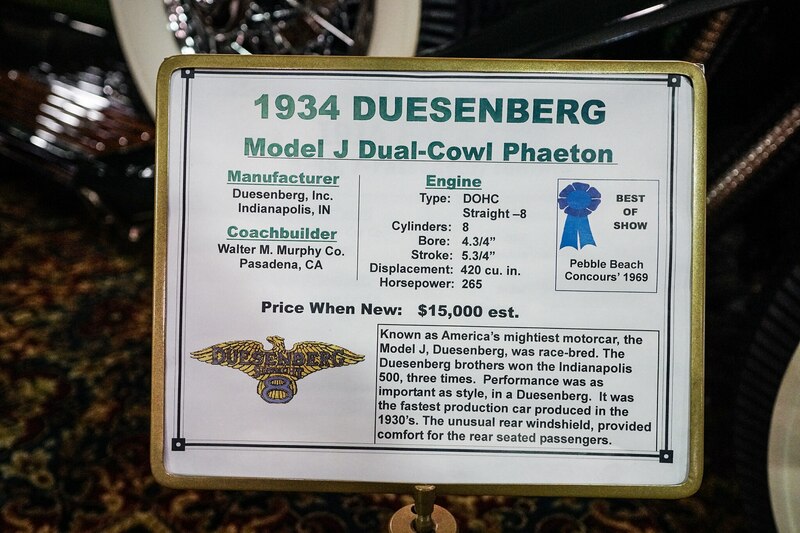 J.B. Nethercutt described his collection as “functional fine art” and his cars have amassed numerous awards, including six Best of Show wins at the Pebble Beach Concours d’Elegance, the most ever for an individual. 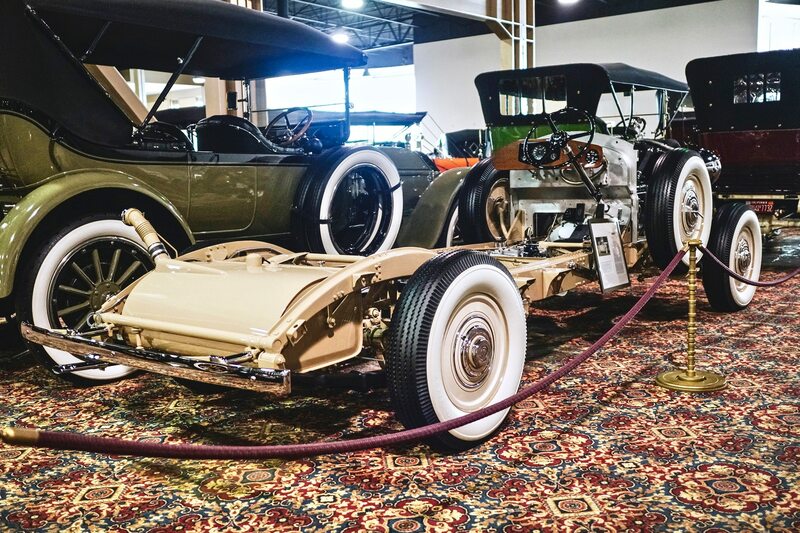 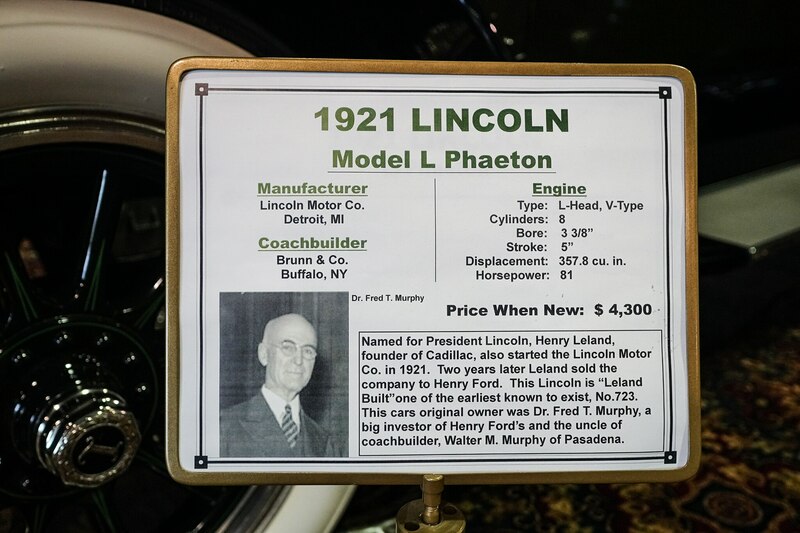 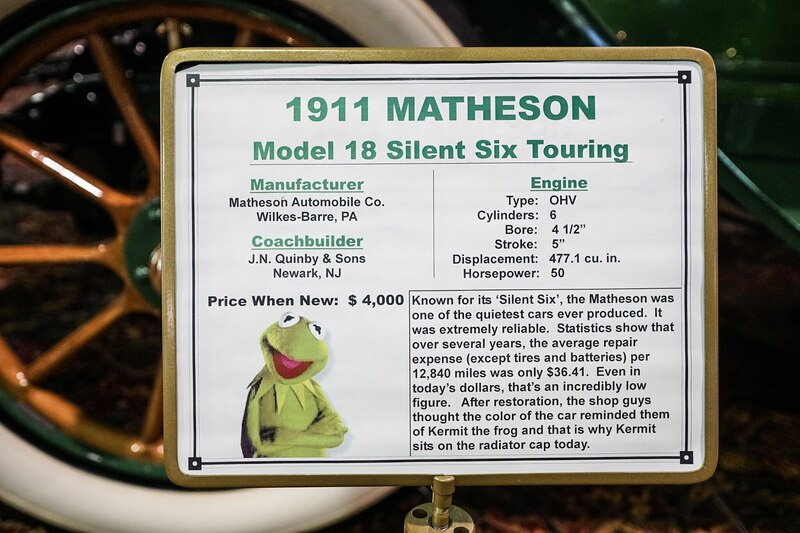 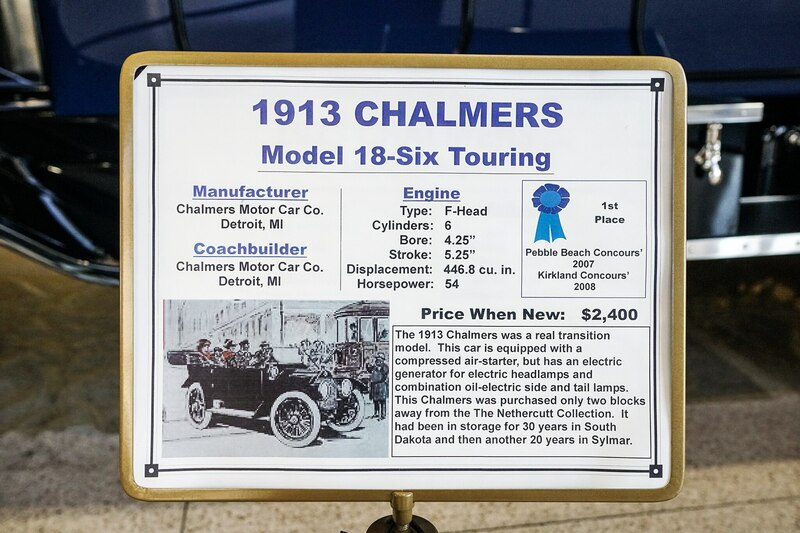 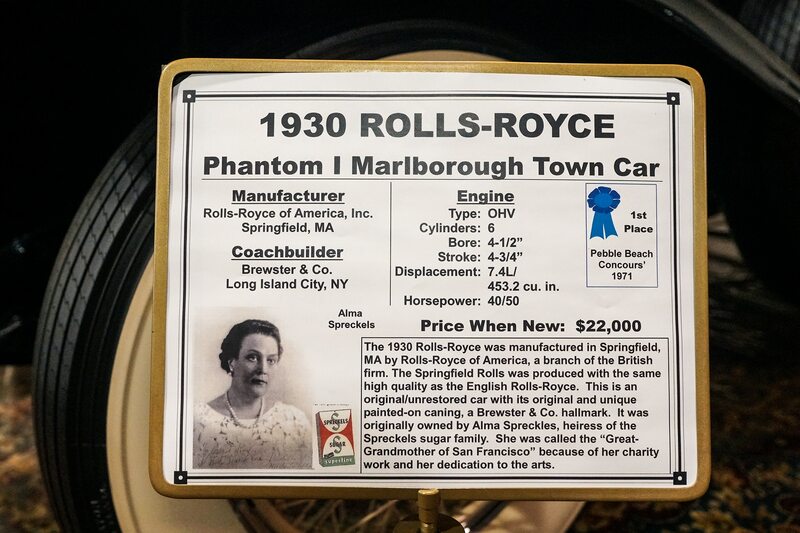 The cars exhibited at the Nethercutt are divided into four distinct automotive eras: antique (1890s–1915), vintage (1916–1924), classic (1925–1948), and postwar (1945–1970s.) 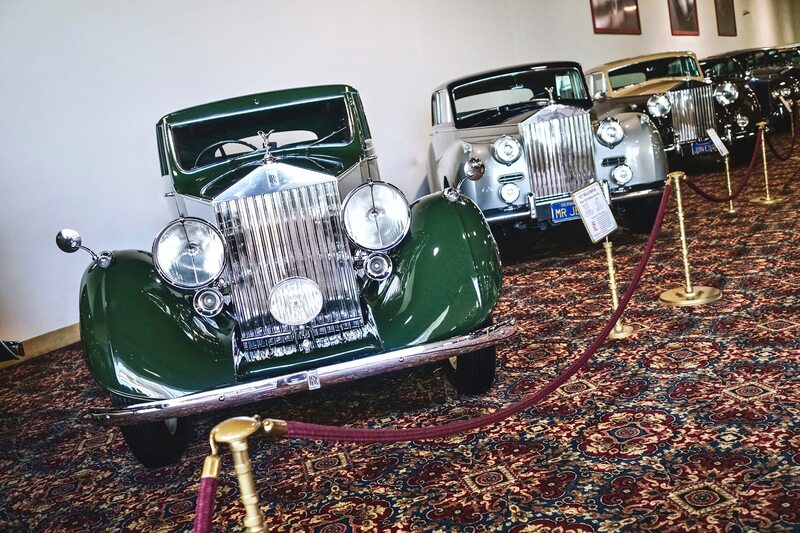 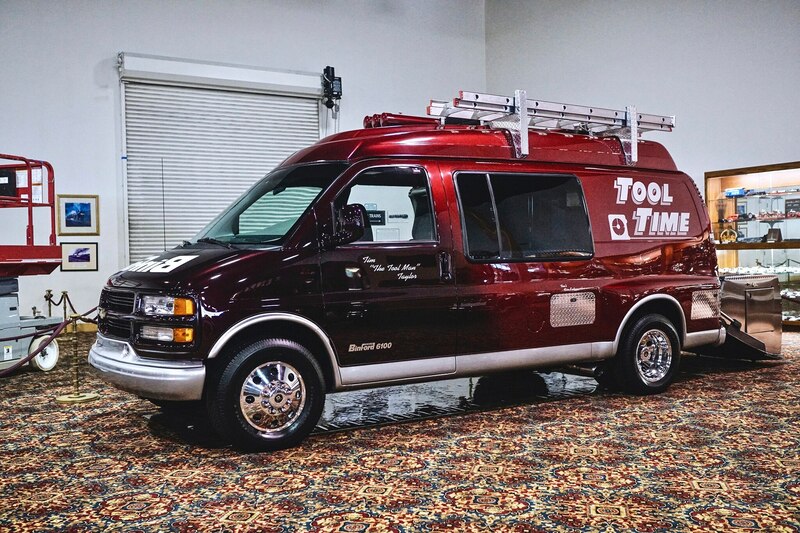 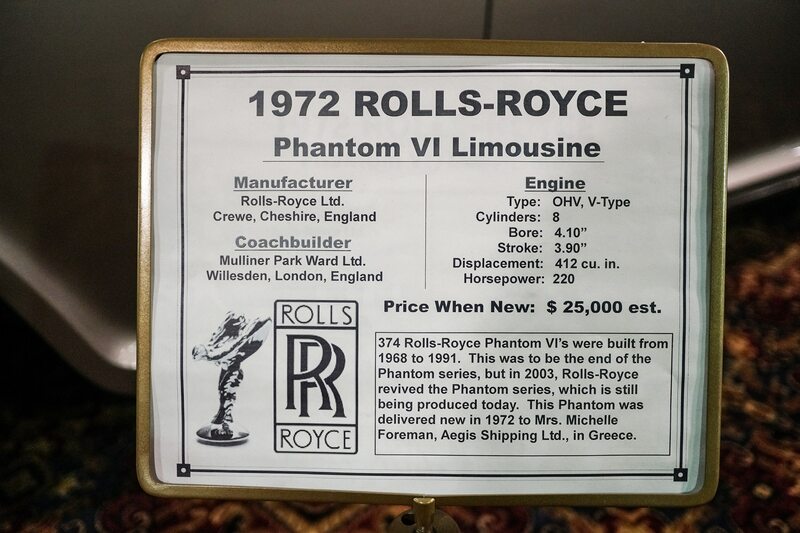 The cars are not only in immaculate condition but also functional and in almost every case remarkable. 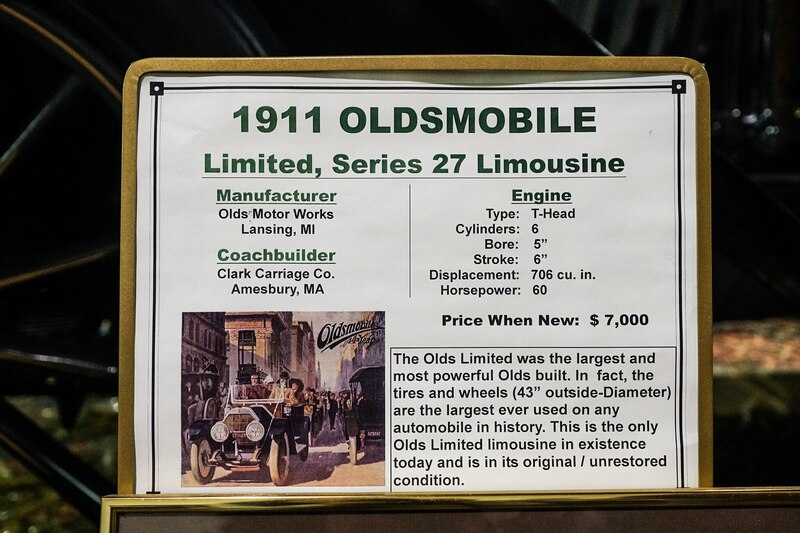 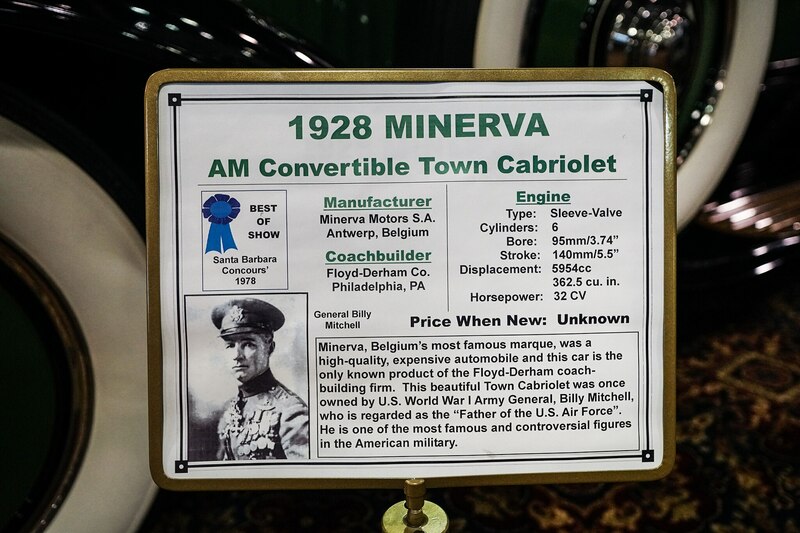 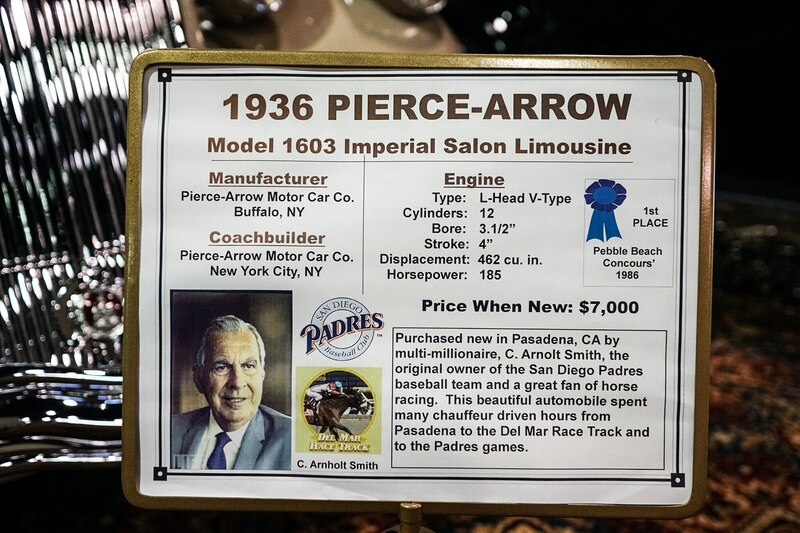 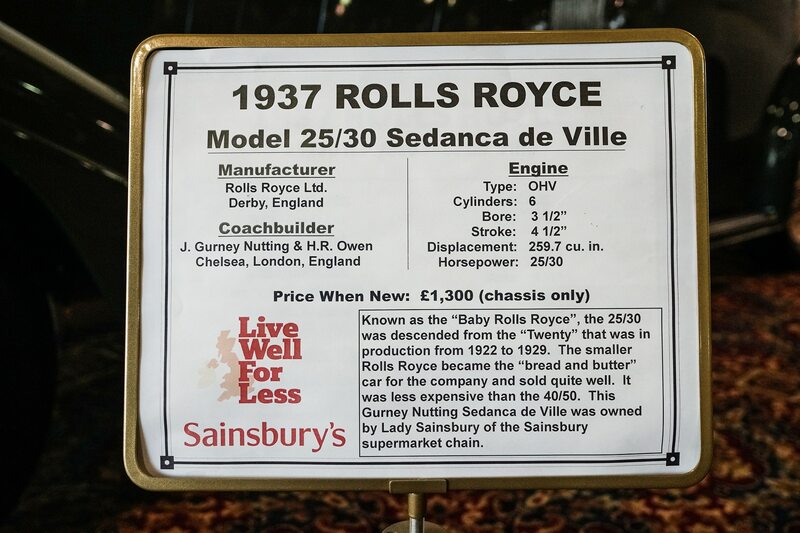 Three rare cars in the collection include a 1911 Oldsmobile Limited Series 27 Limousine, a 1918 Pierce-Arrow 66 prototype, and a 1928 Minerva AM Convertible Town Cabriolet once owned by “Father of the U.S. Air Force” Billy Mitchell. 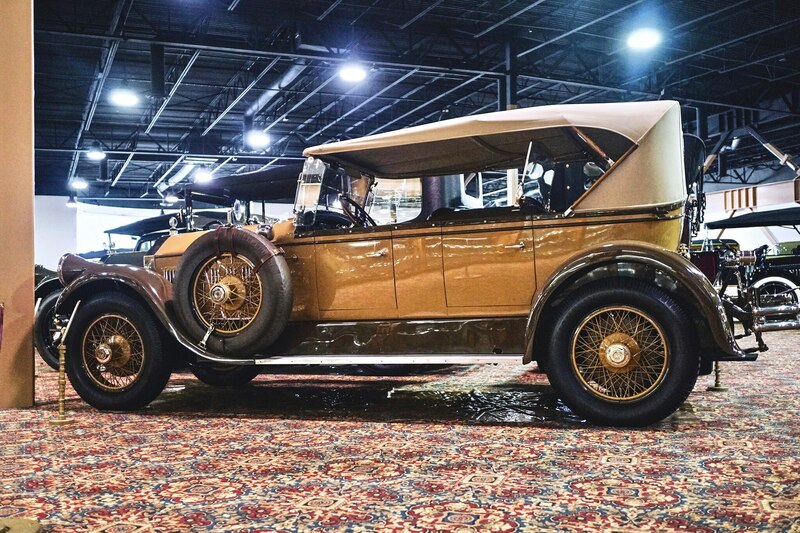 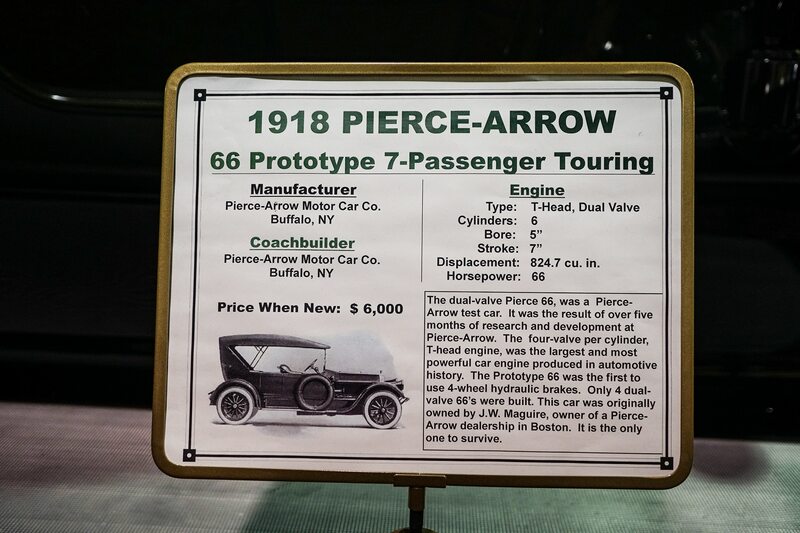 The 1911 Olds Limousine is the only example in existence, and the 1918 Pierce-Arrow 66 prototype is the only one to have survived. 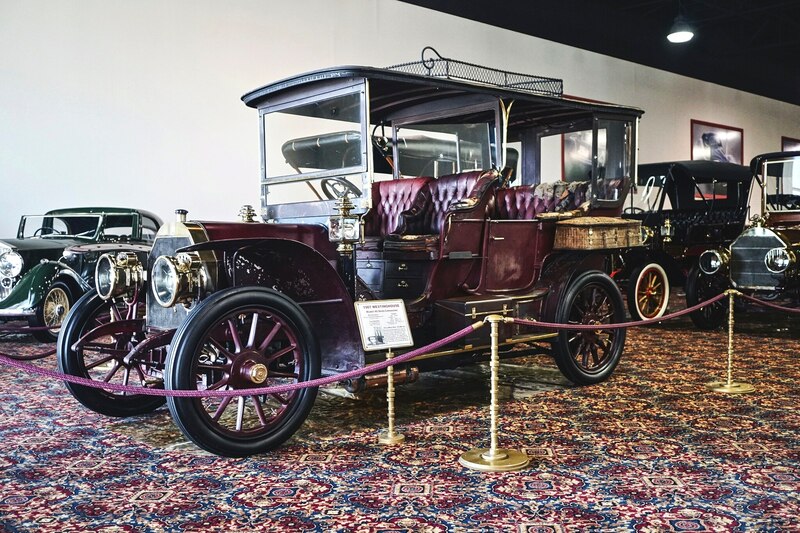 Guided tours of the Collection, which is housed in a separate building from the museum, are available by reservation only. 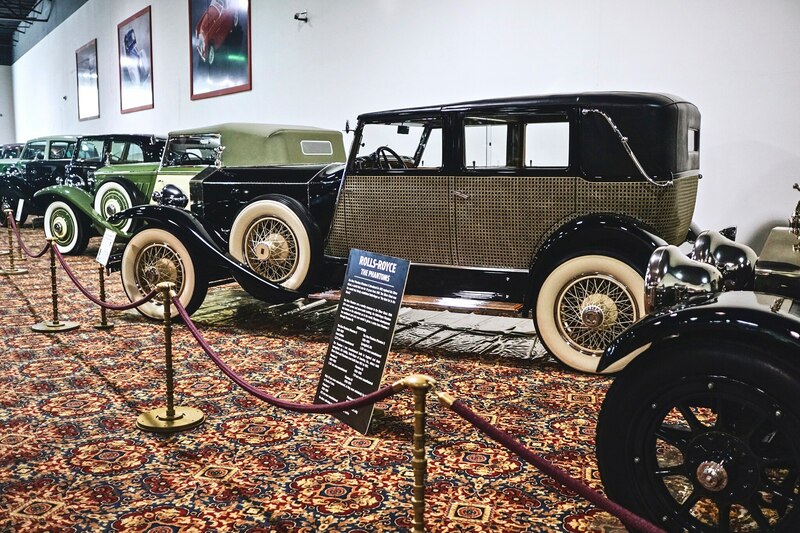 Tours of the collection in the second building are currently suspended due to renovations and are scheduled to resume on May 9.